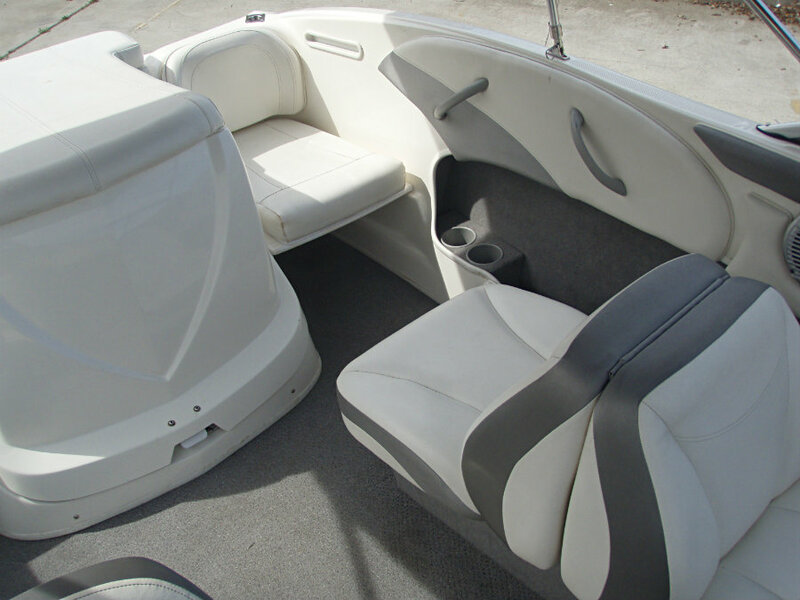 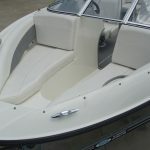 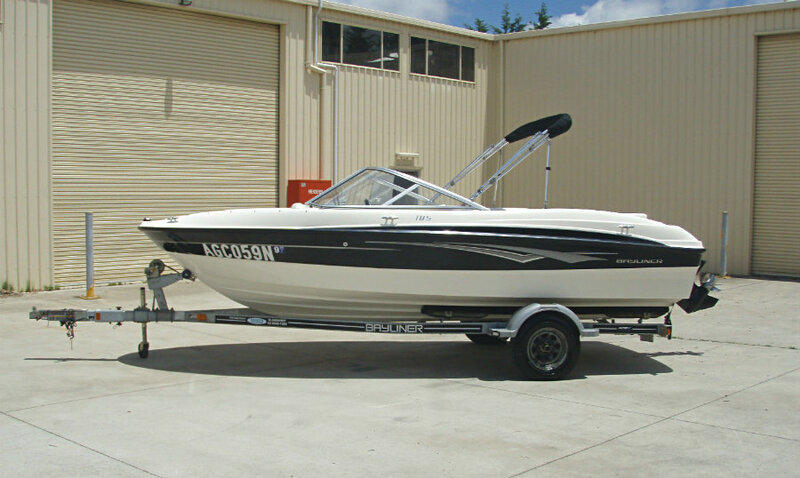 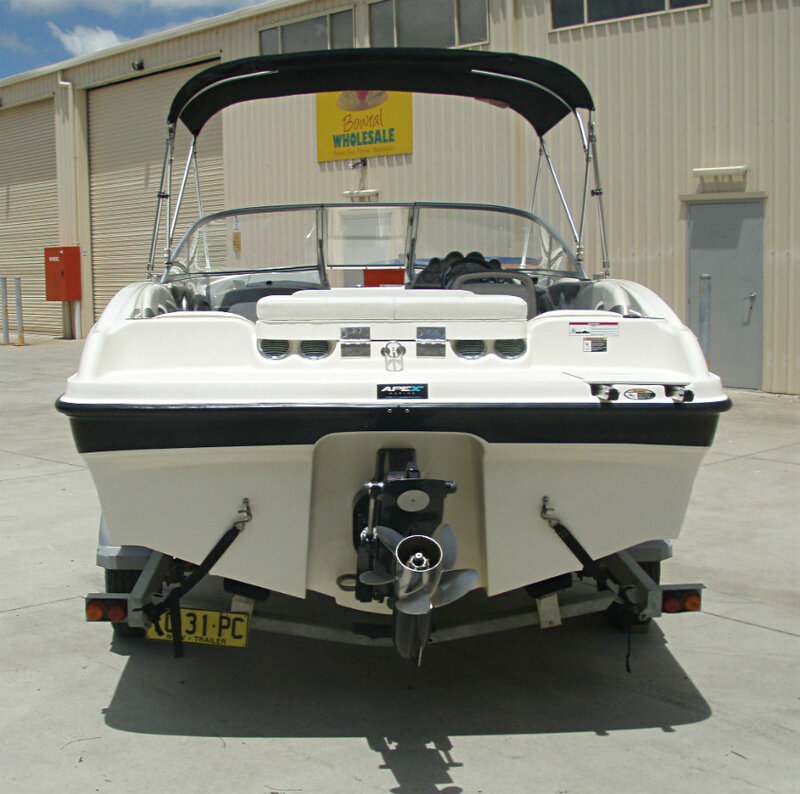 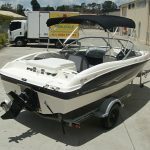 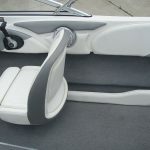 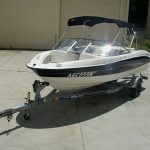 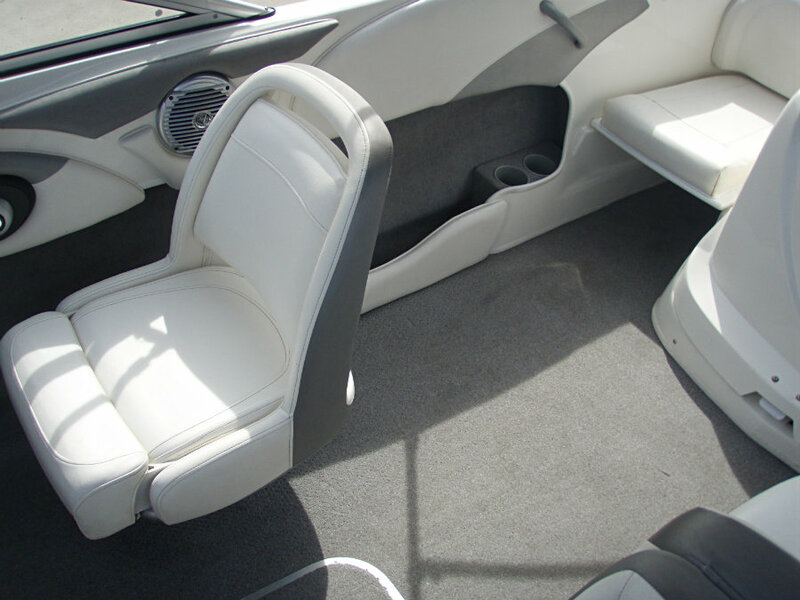 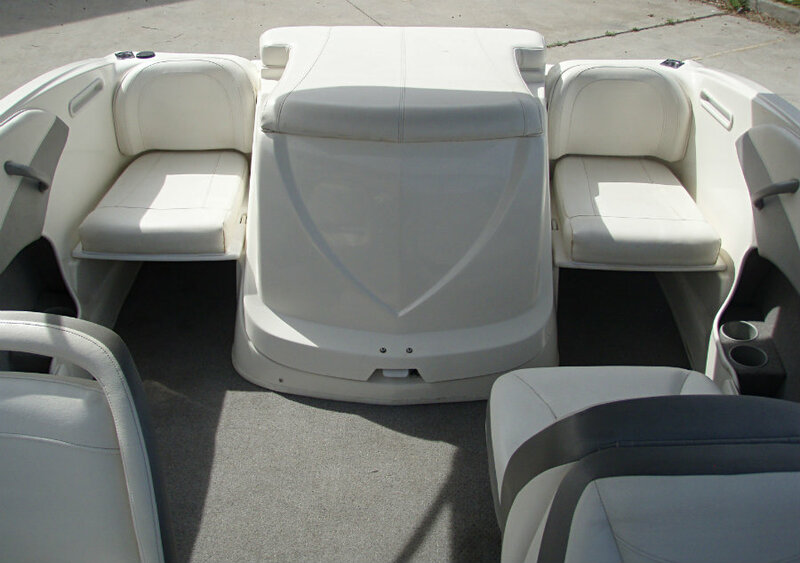 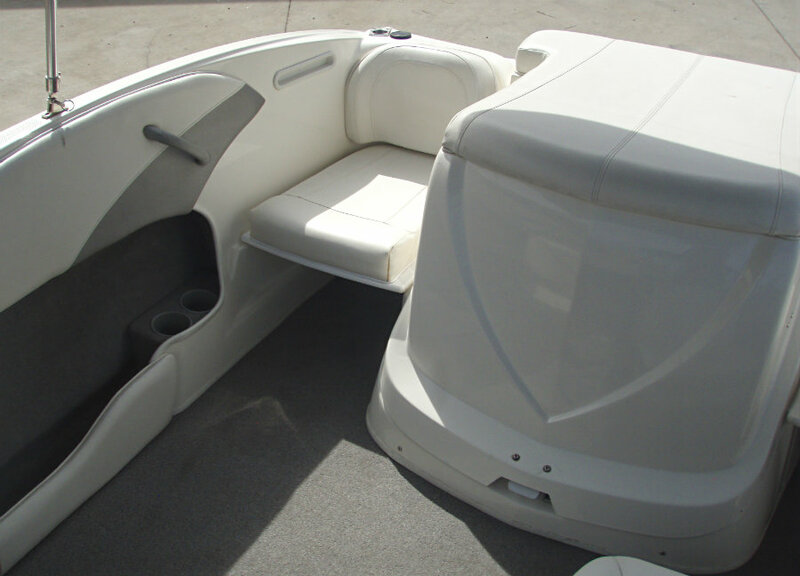 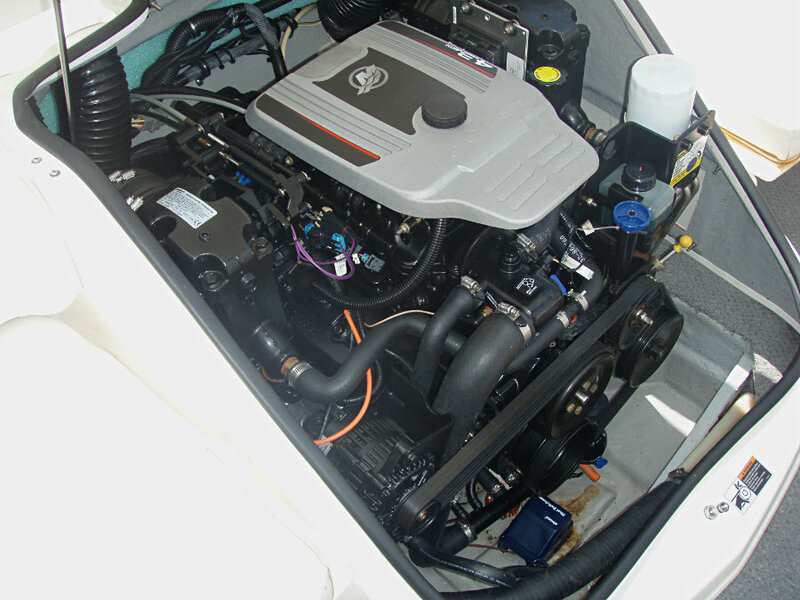 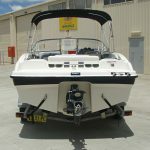 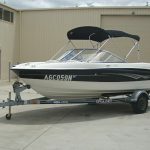 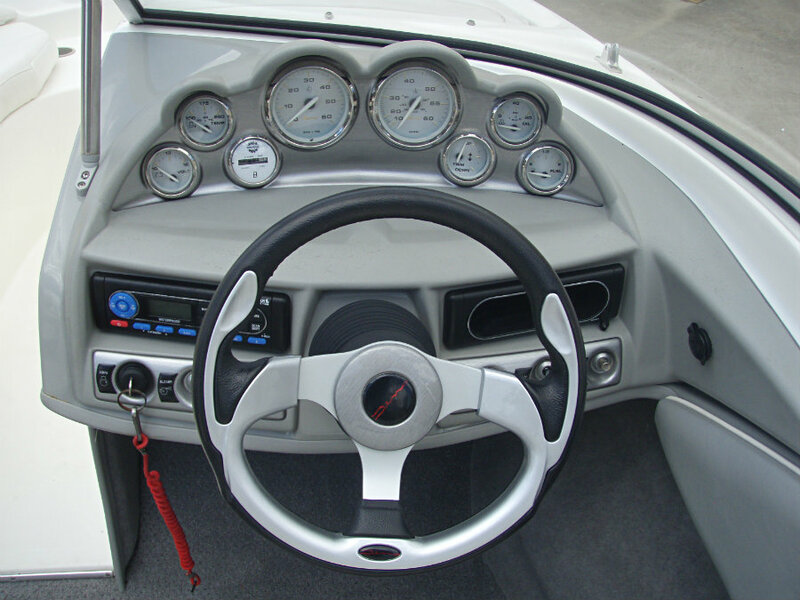 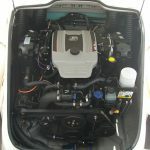 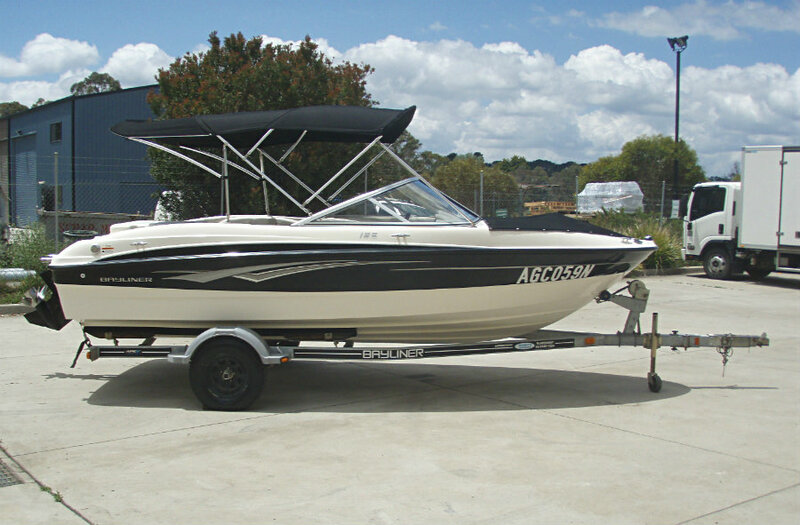 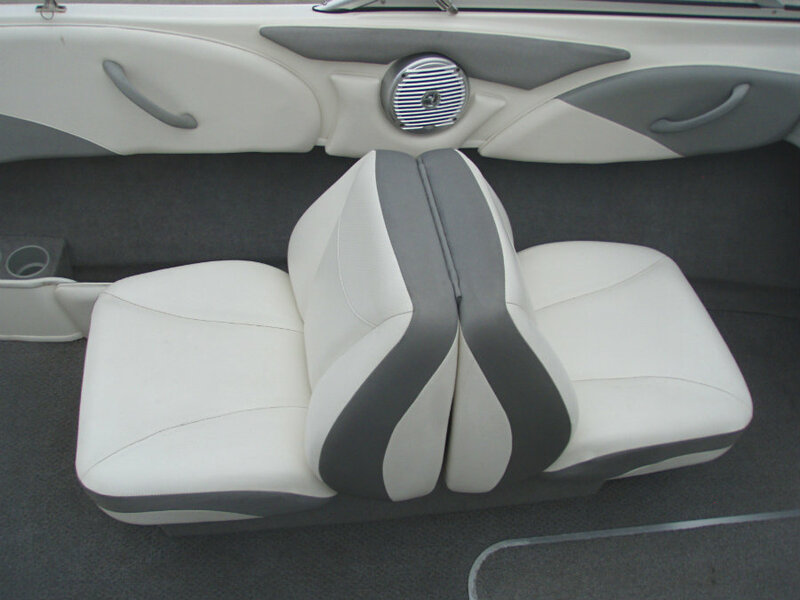 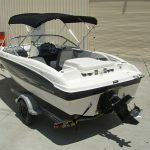 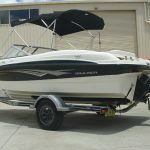 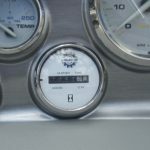 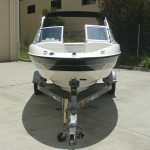 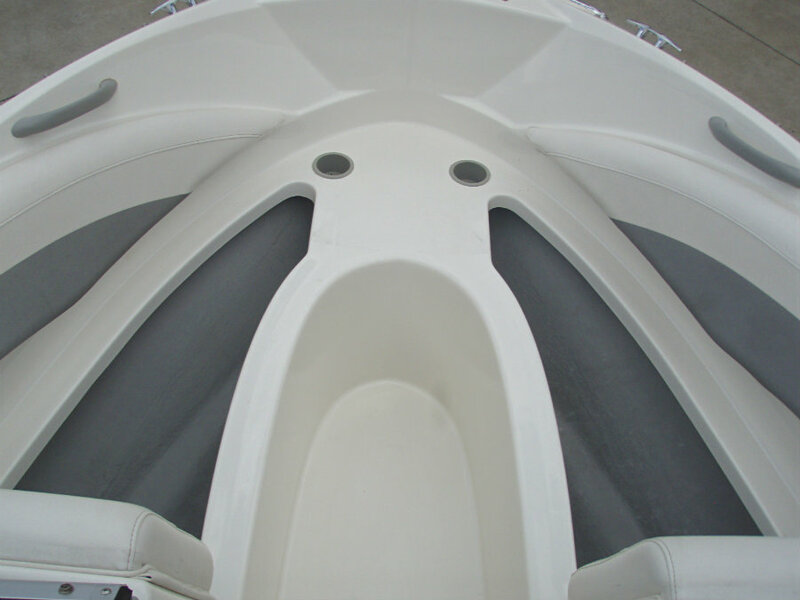 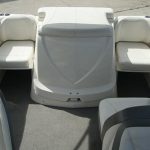 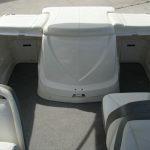 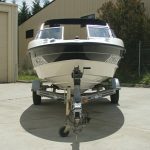 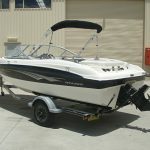 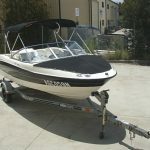 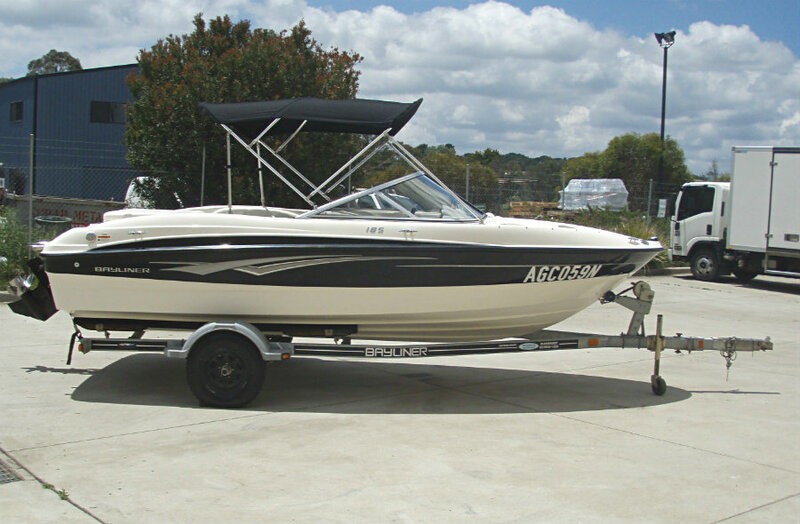 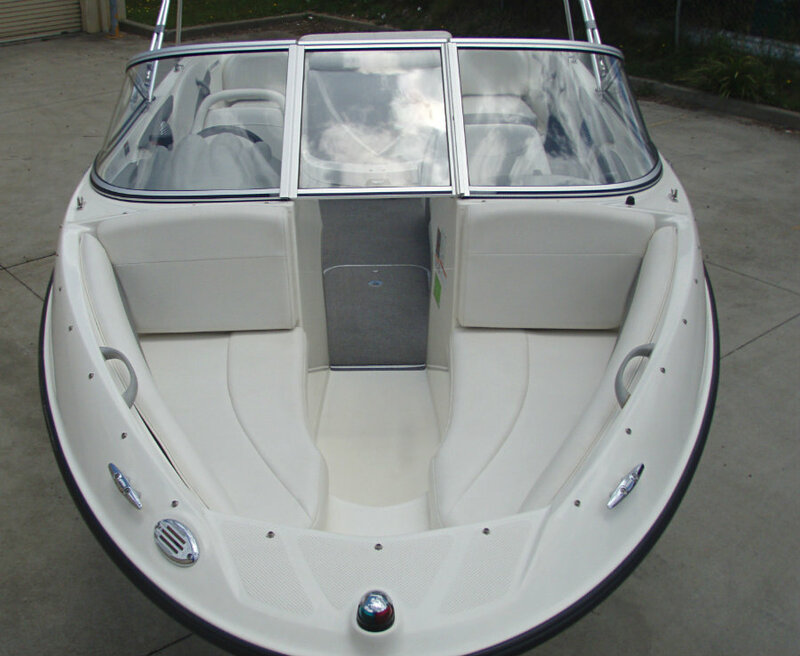 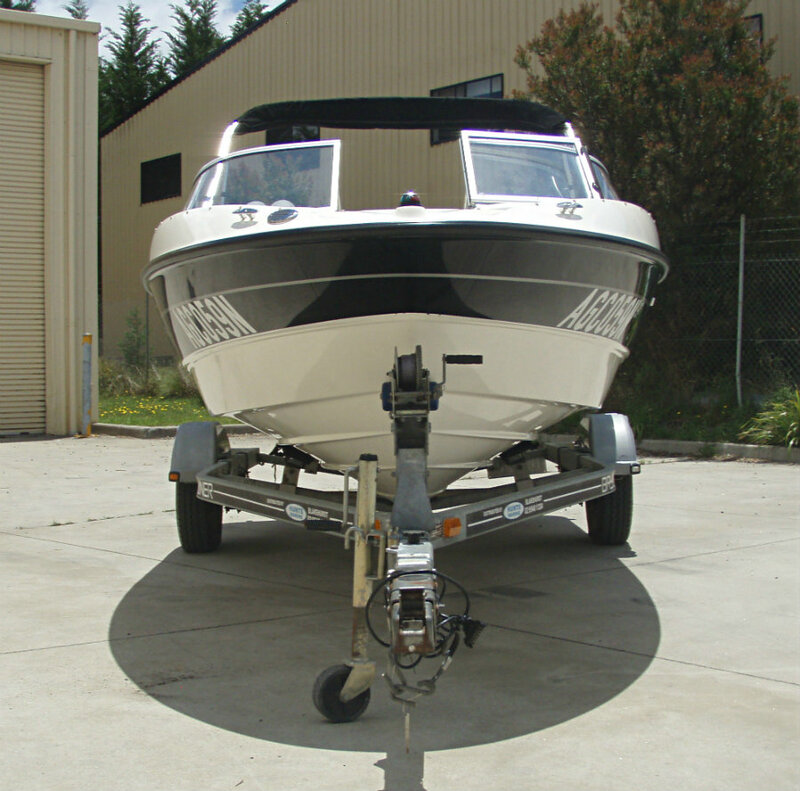 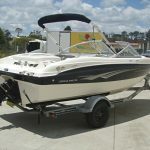 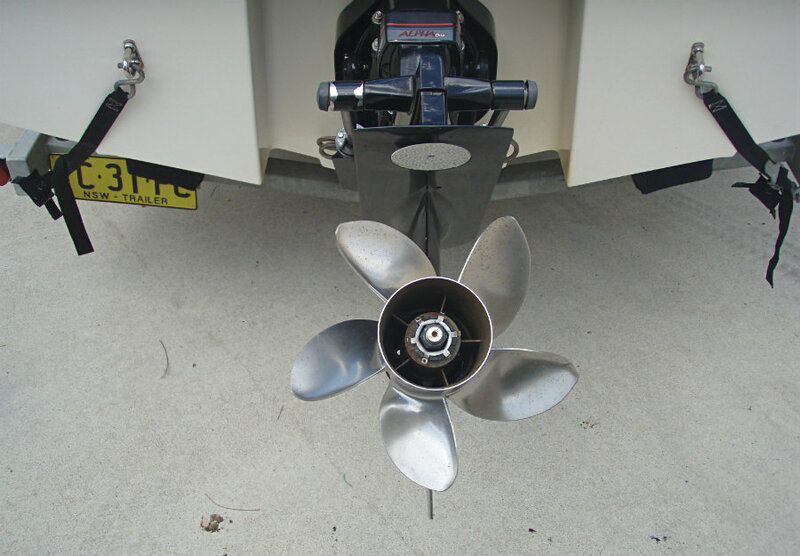 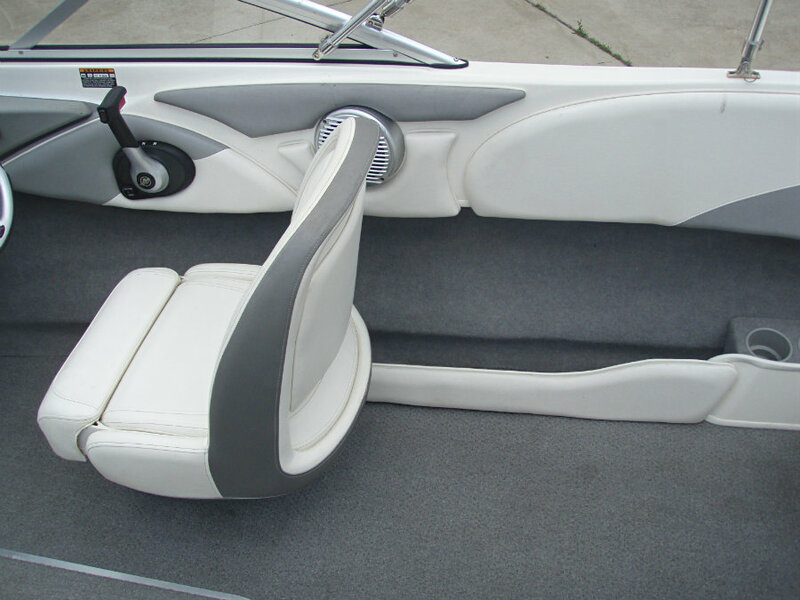 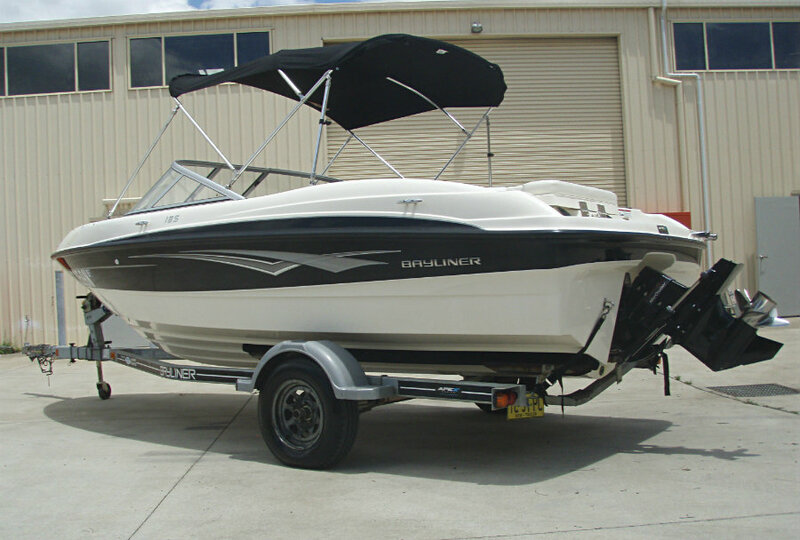 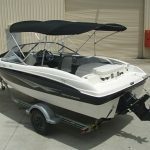 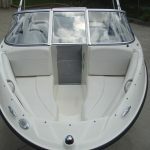 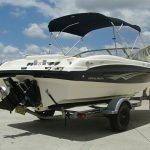 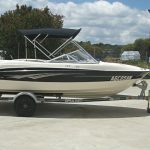 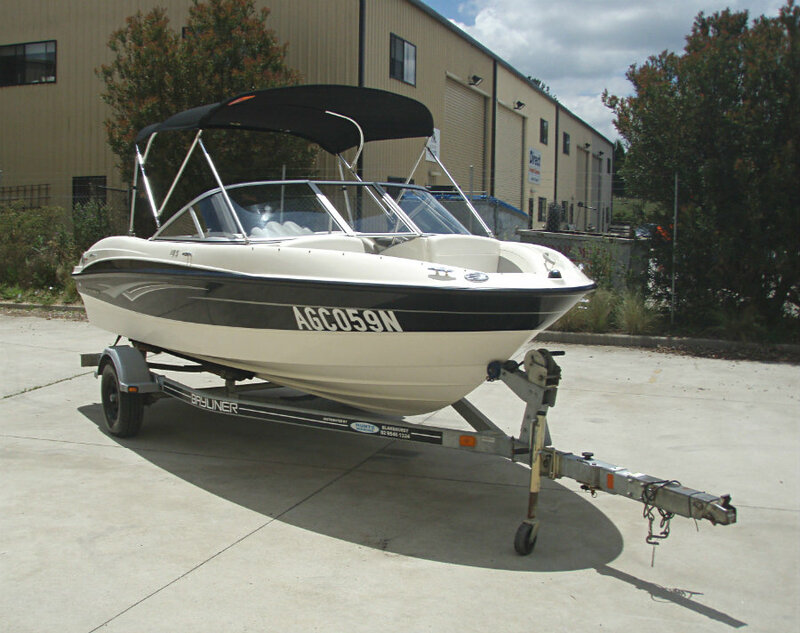 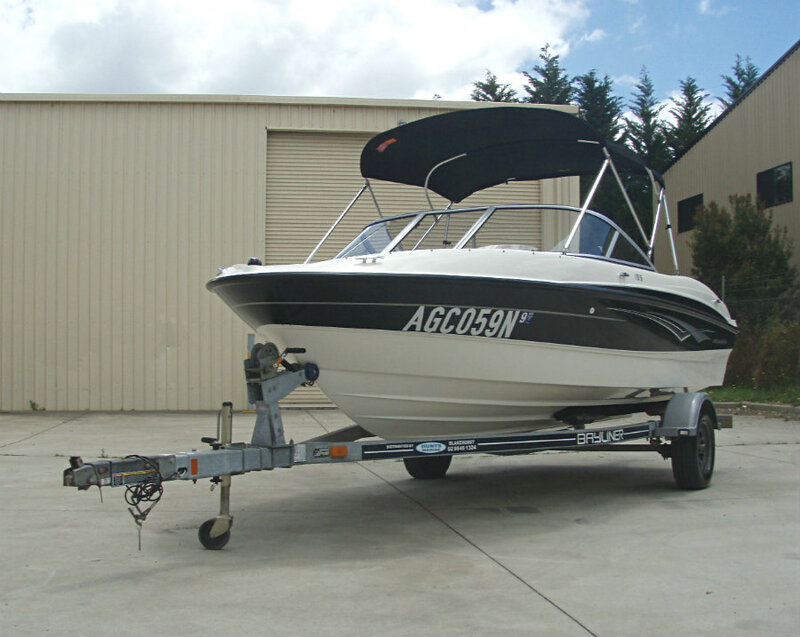 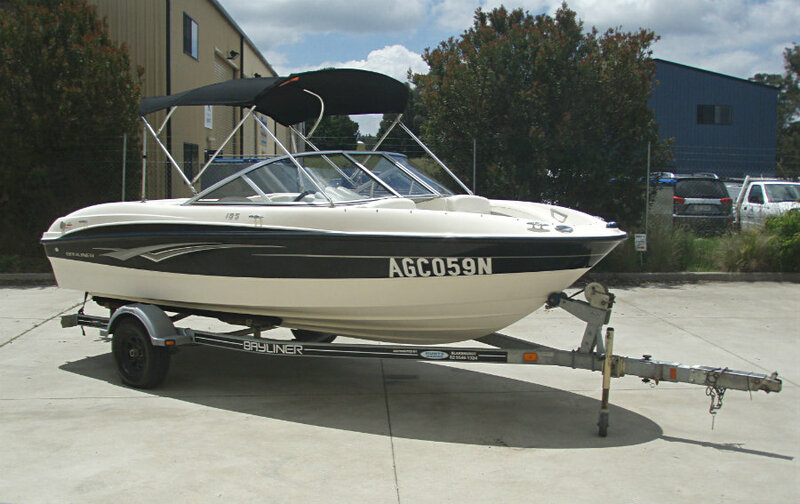 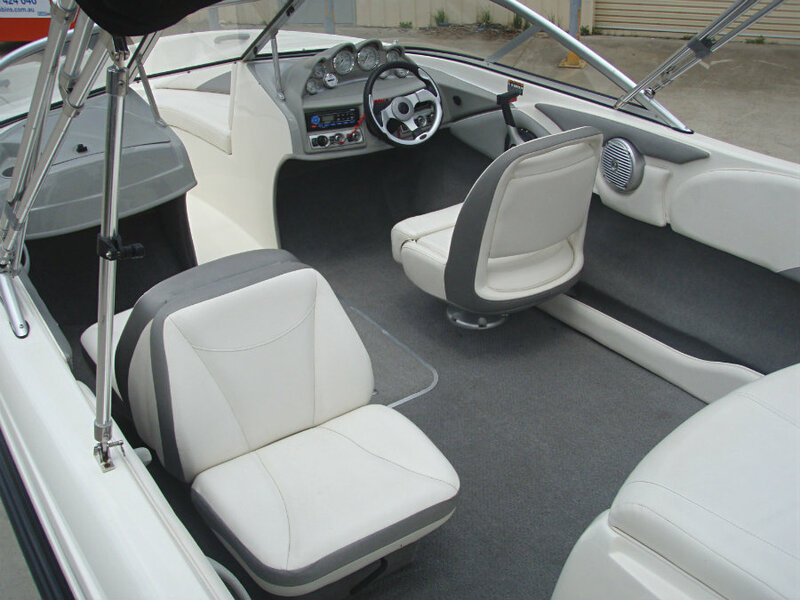 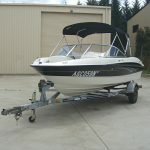 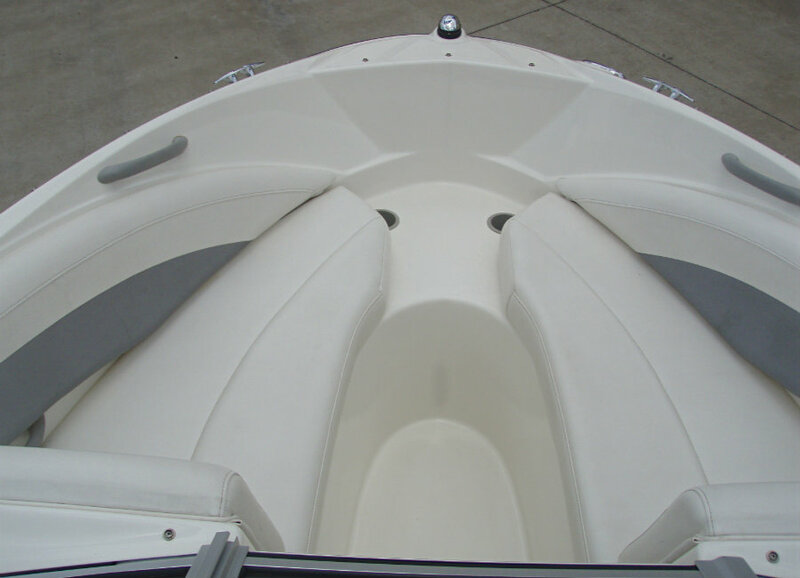 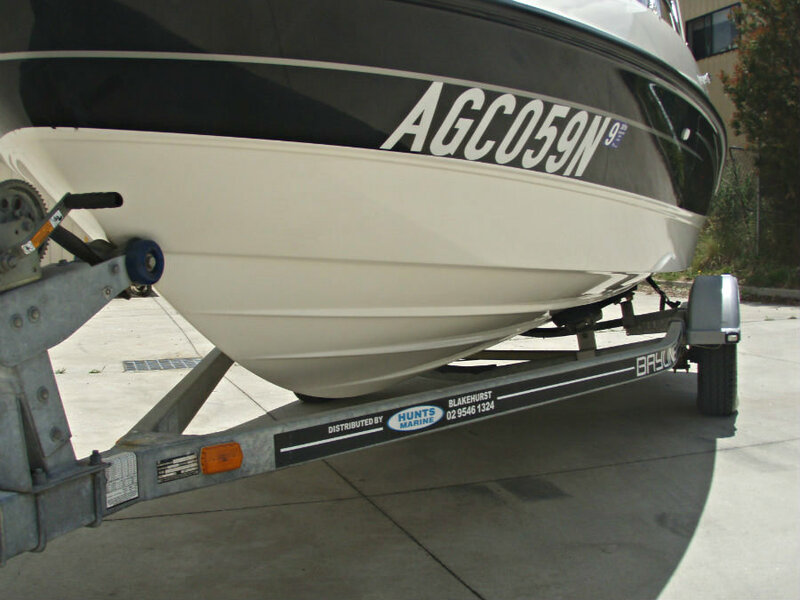 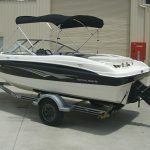 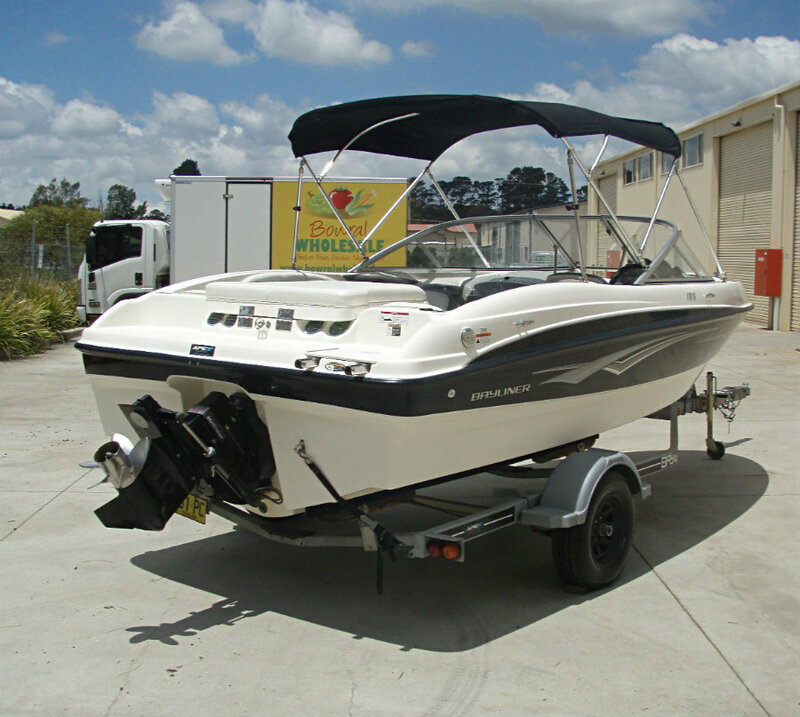 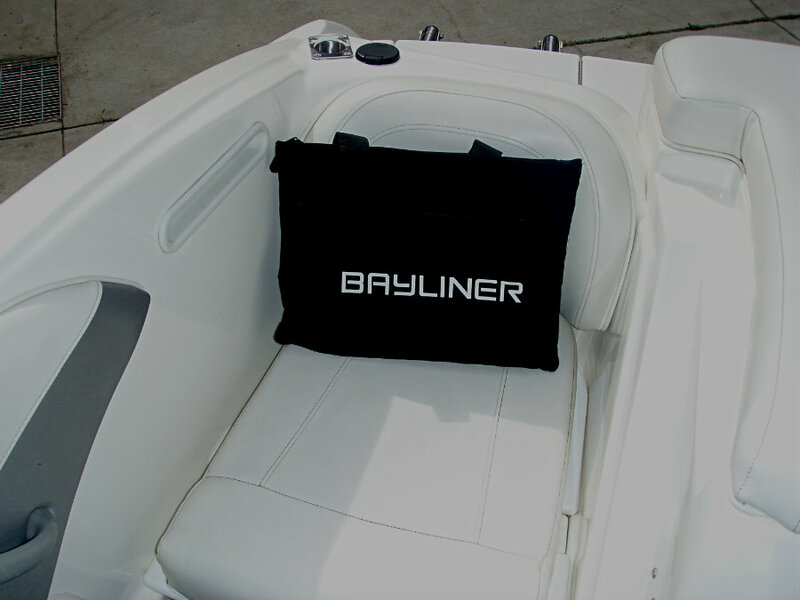 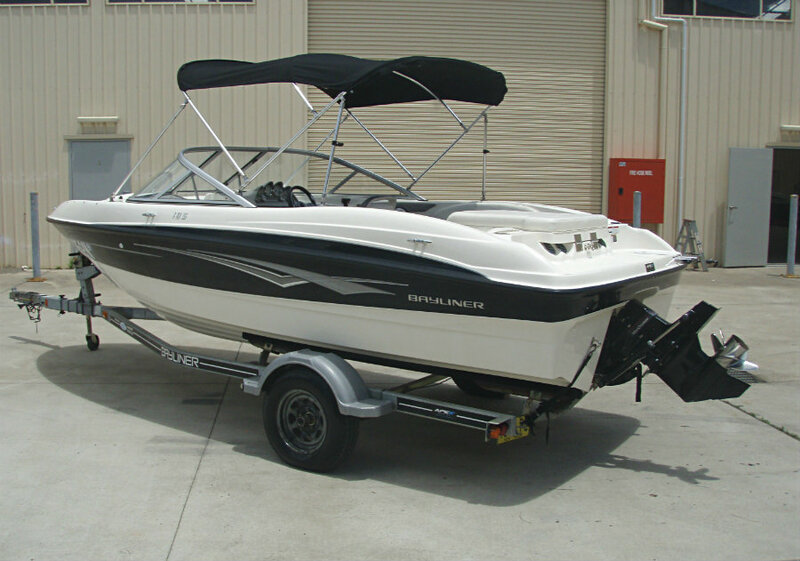 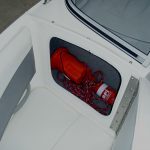 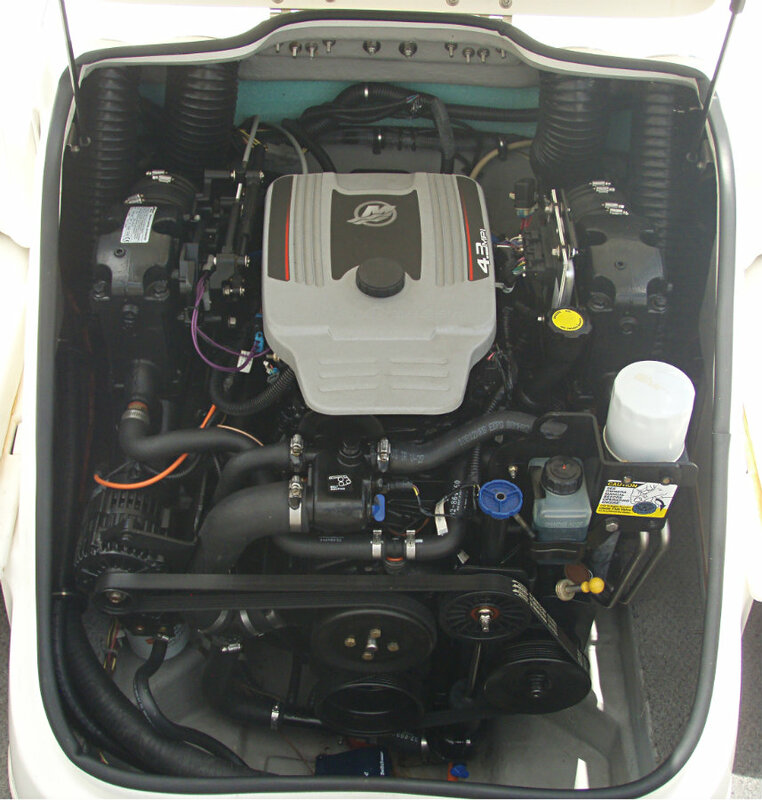 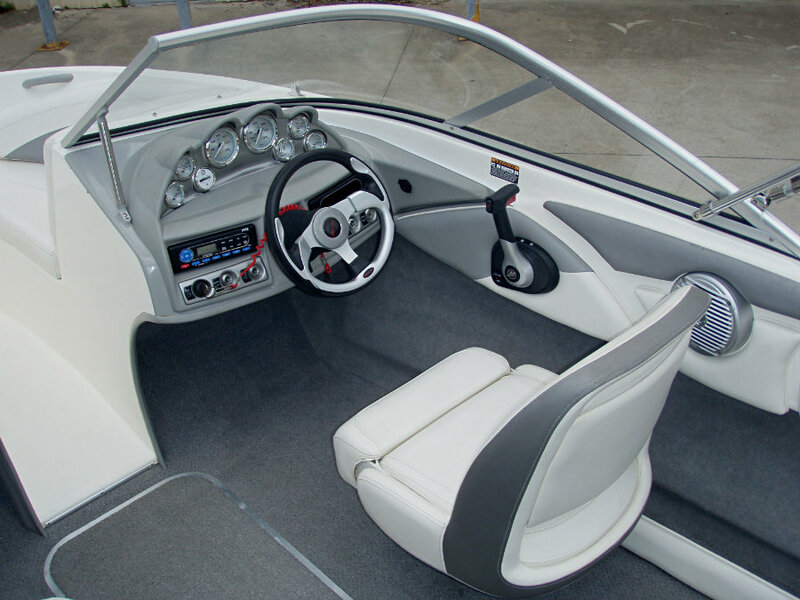 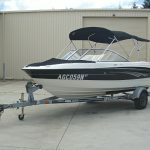 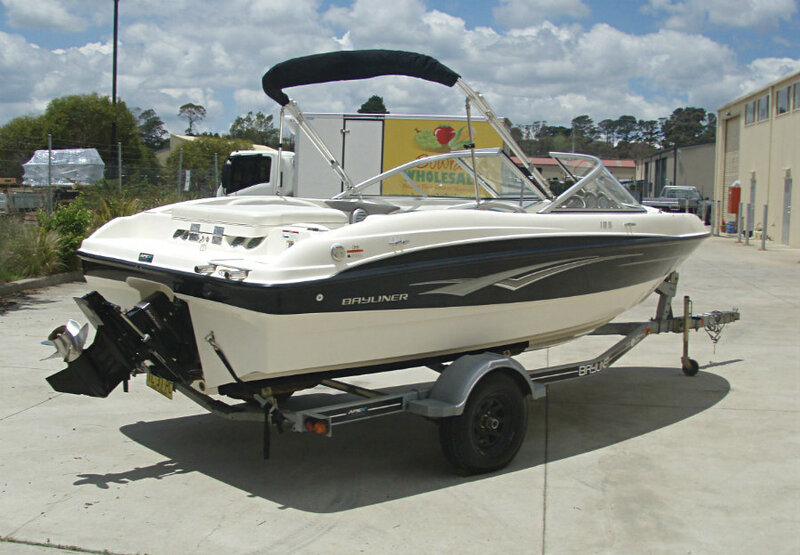 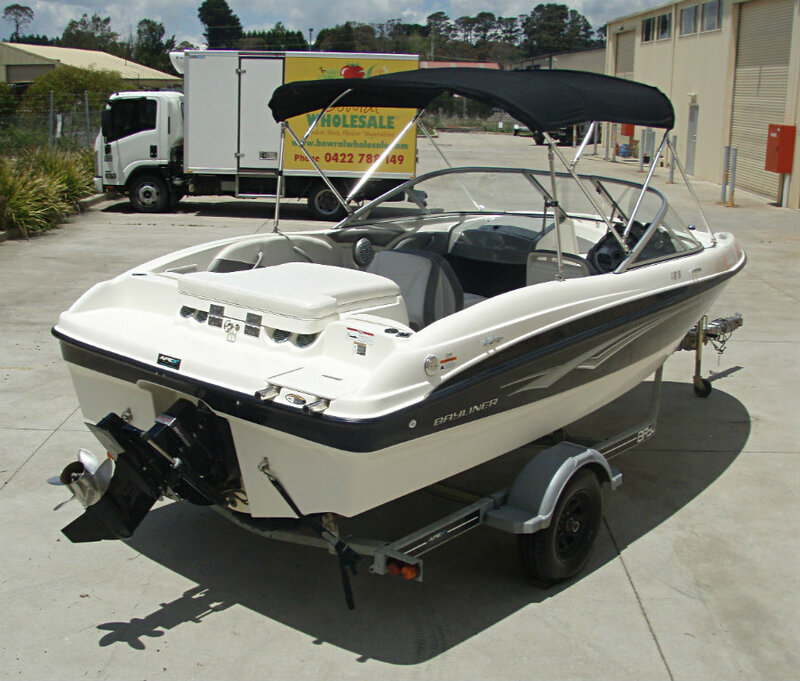 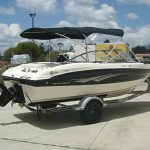 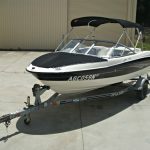 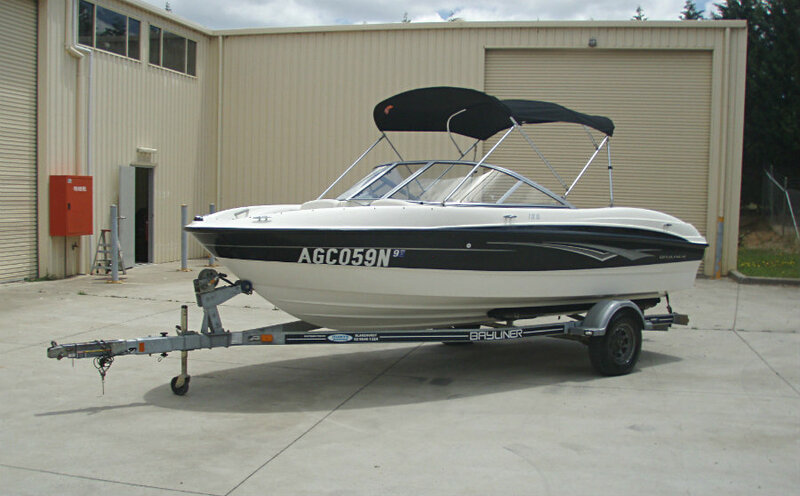 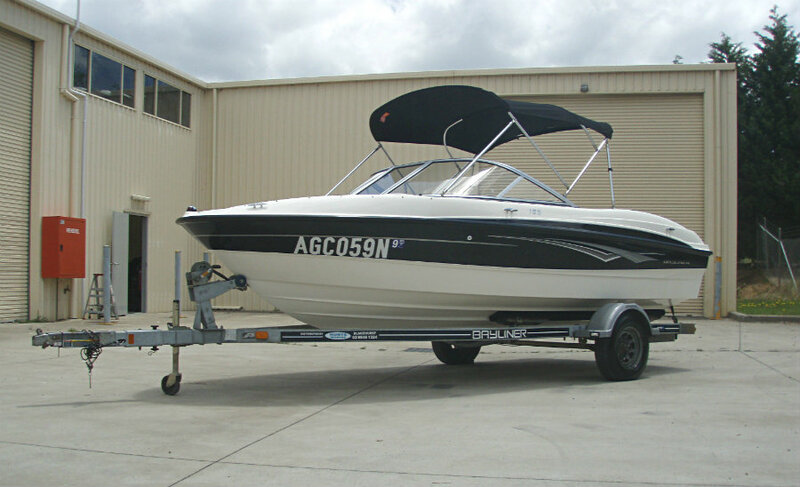 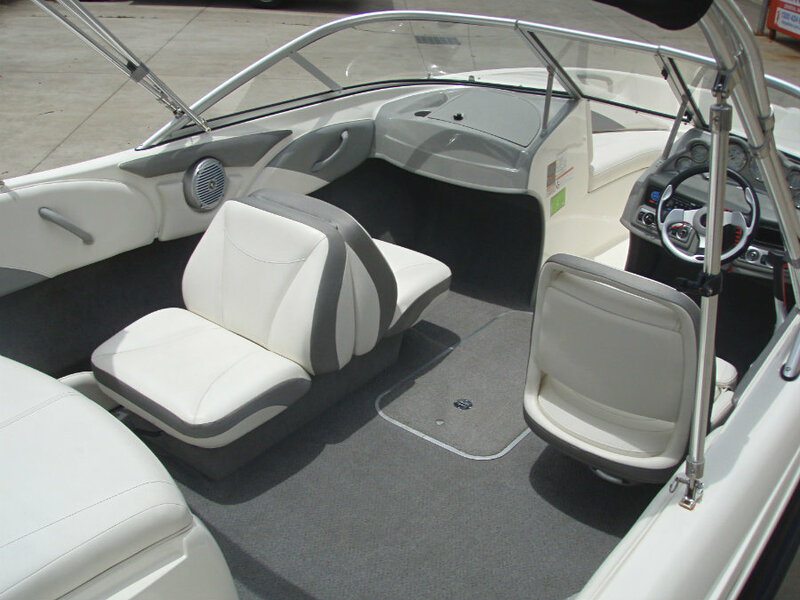 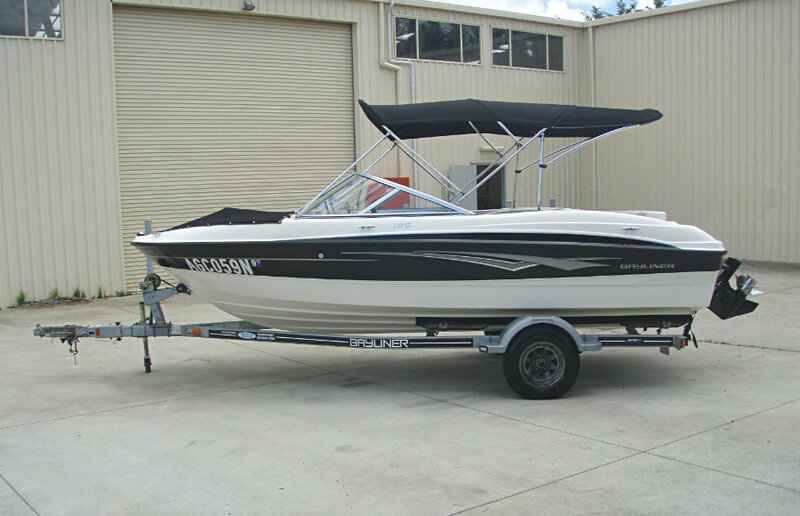 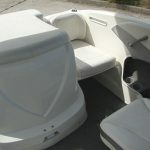 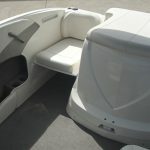 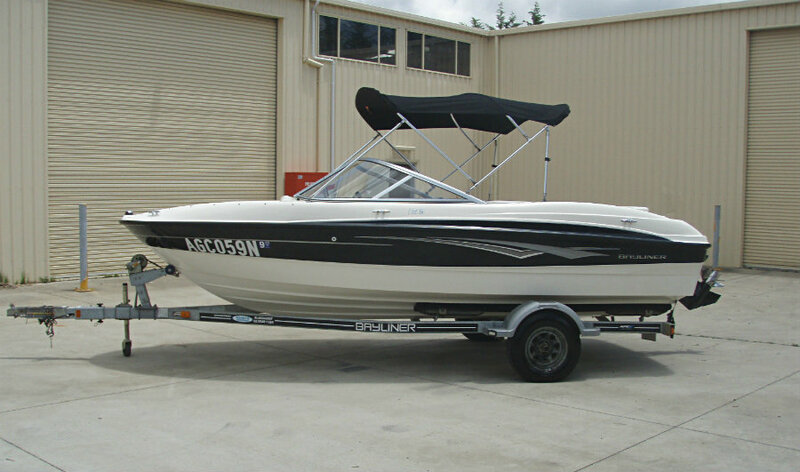 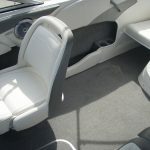 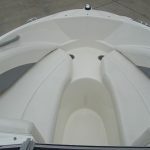 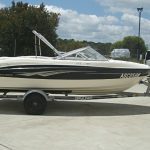 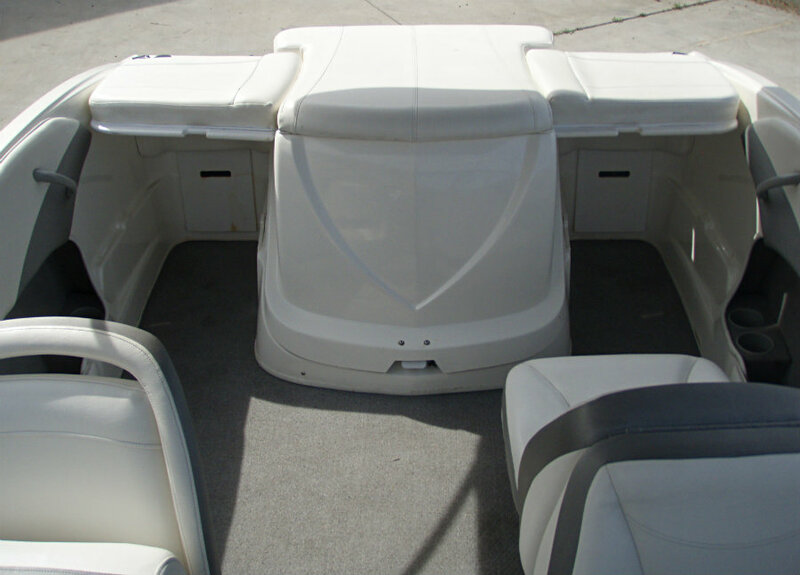 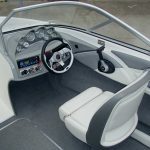 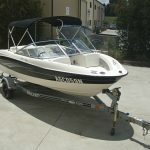 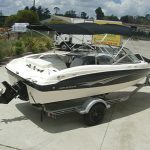 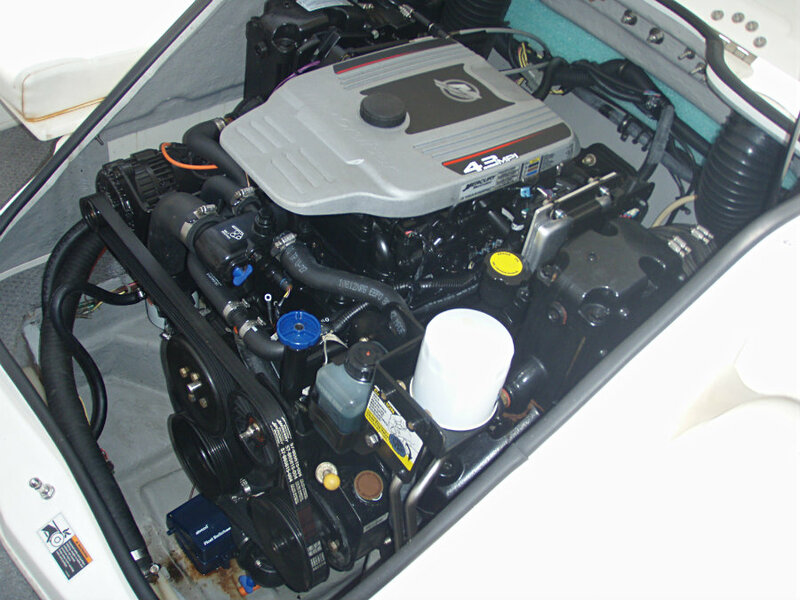 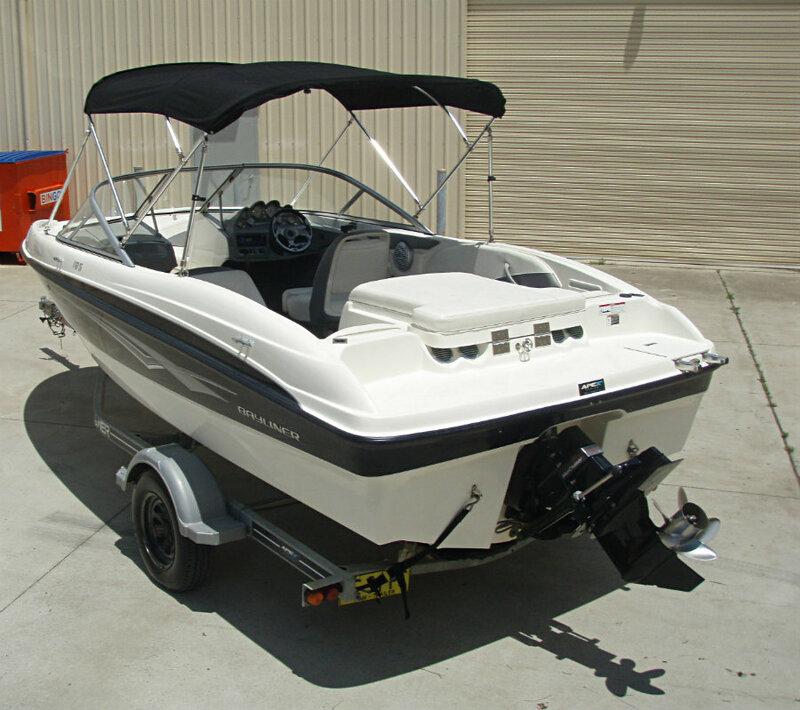 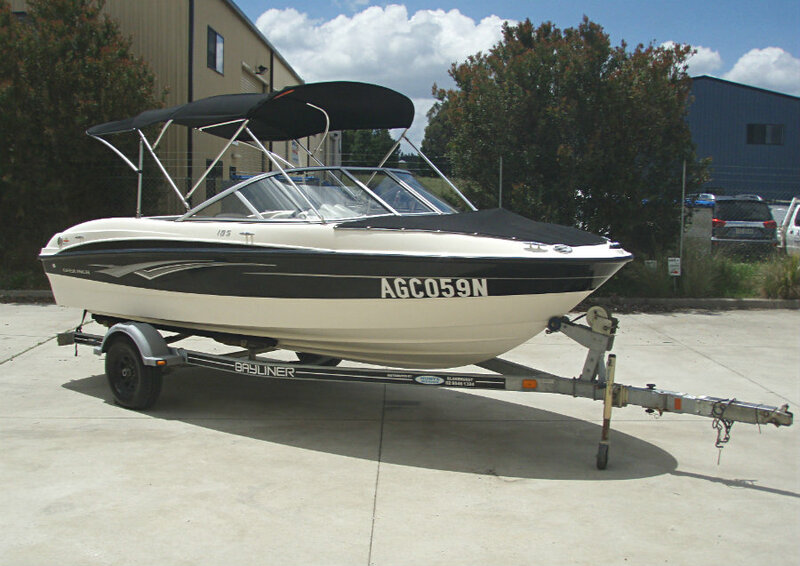 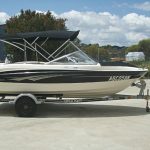 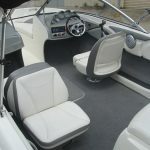 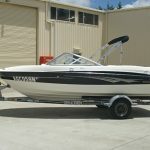 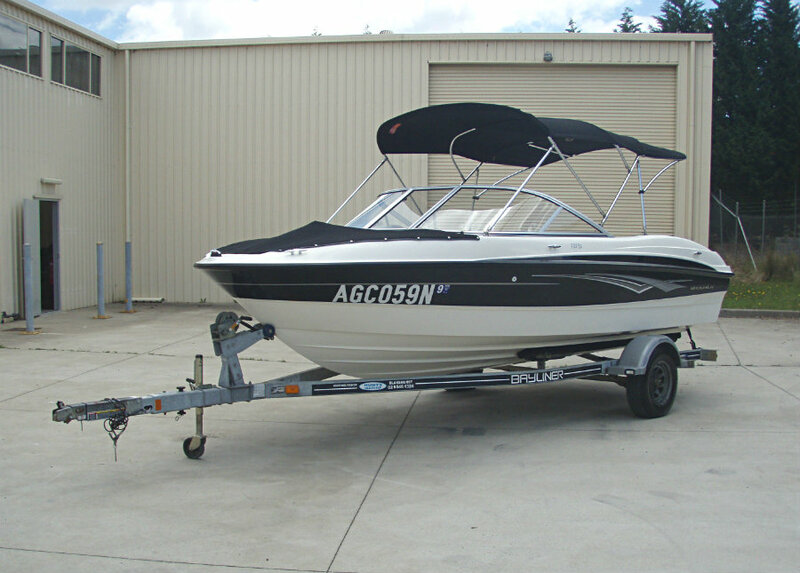 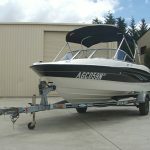 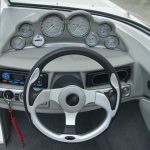 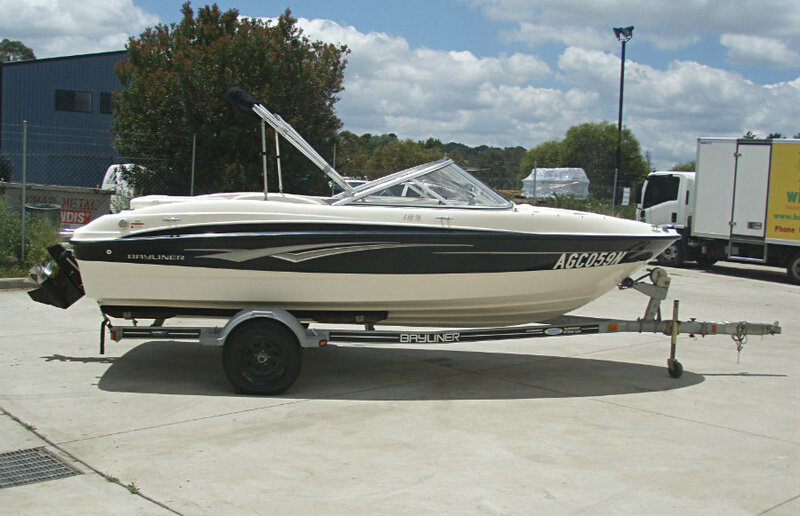 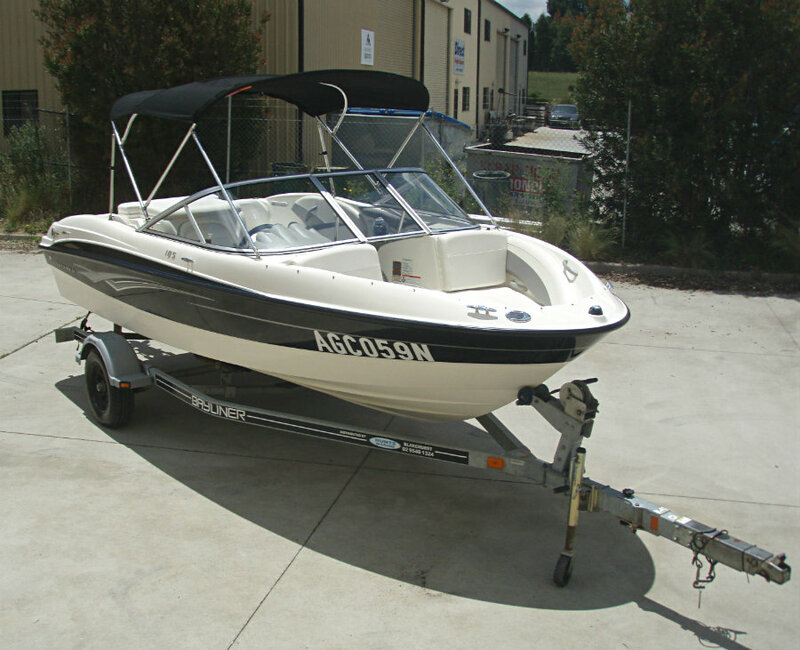 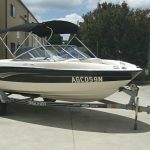 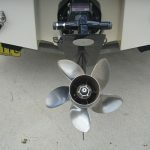 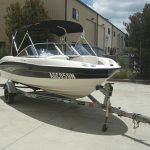 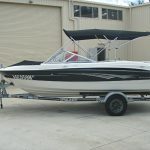 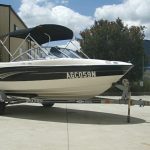 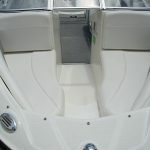 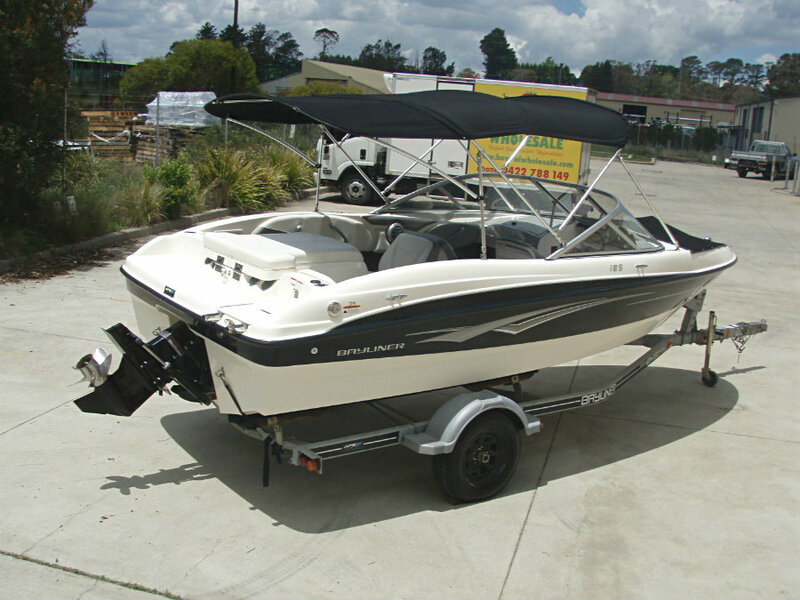 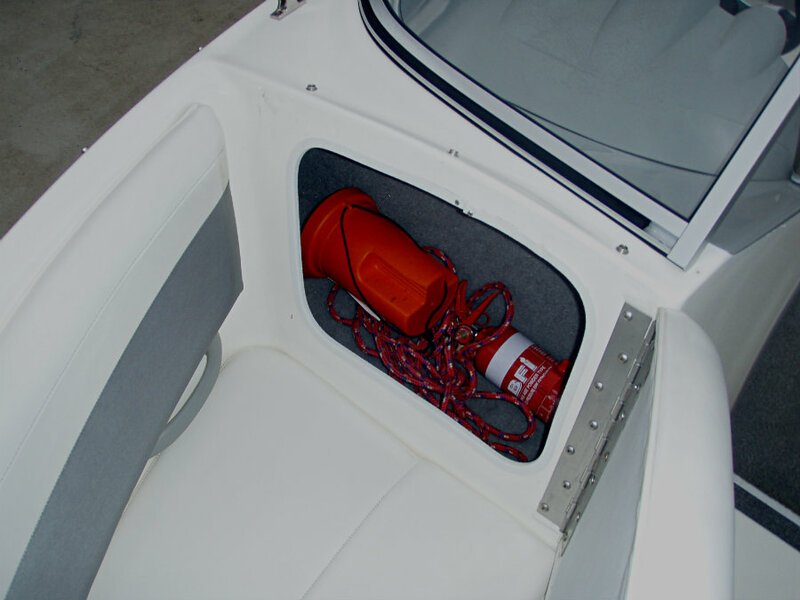 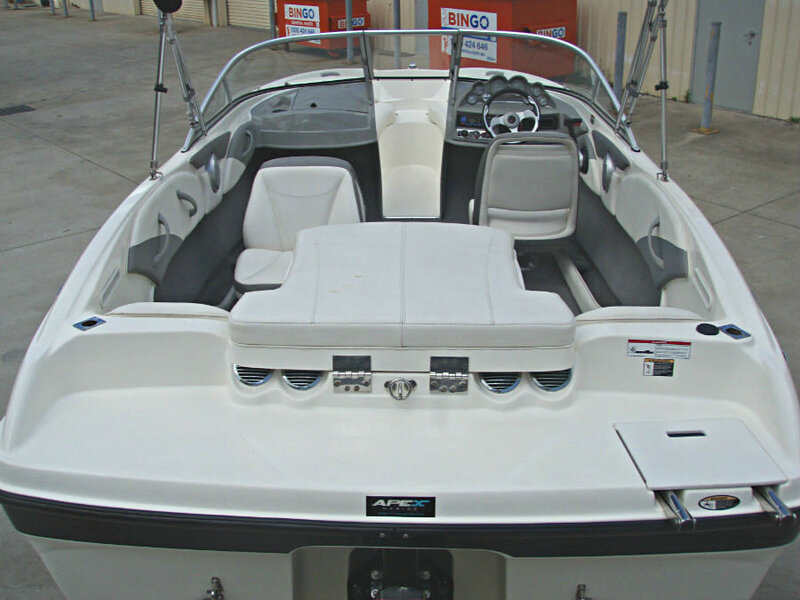 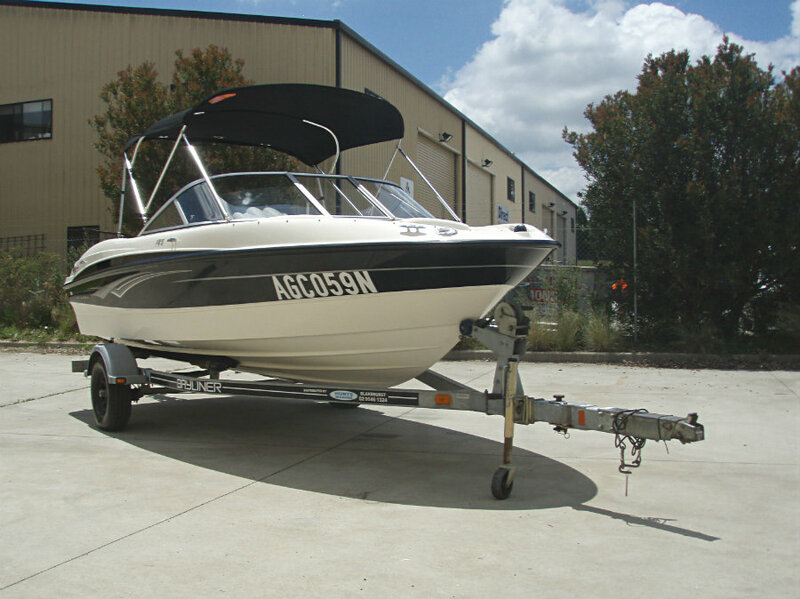 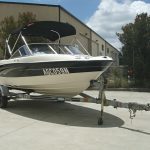 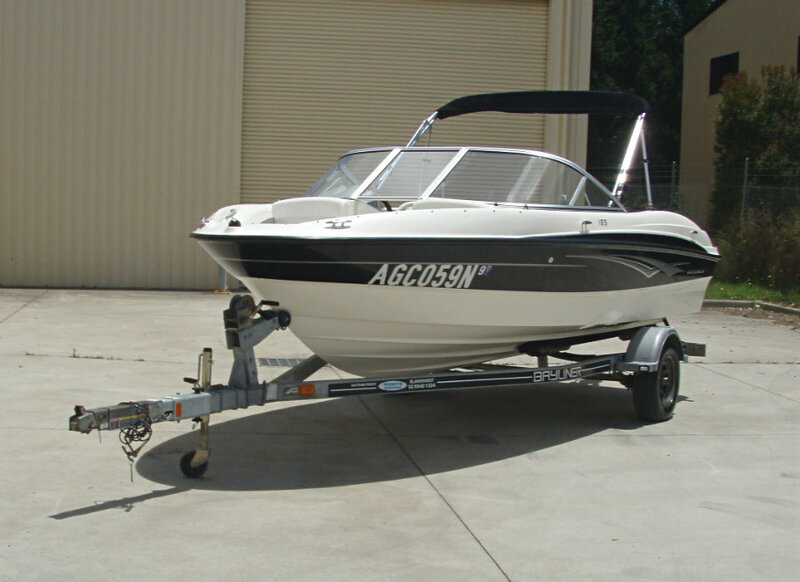 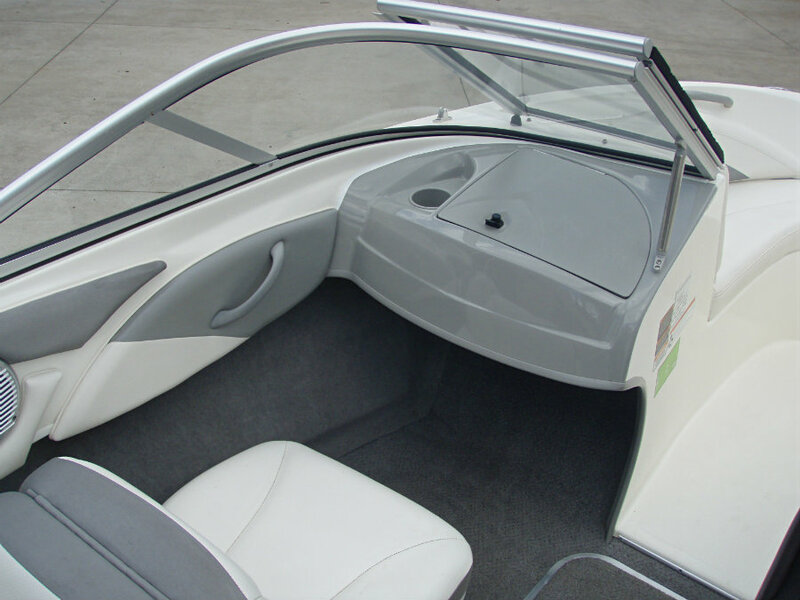 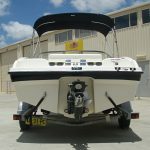 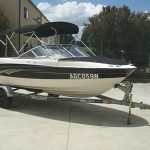 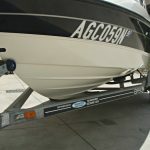 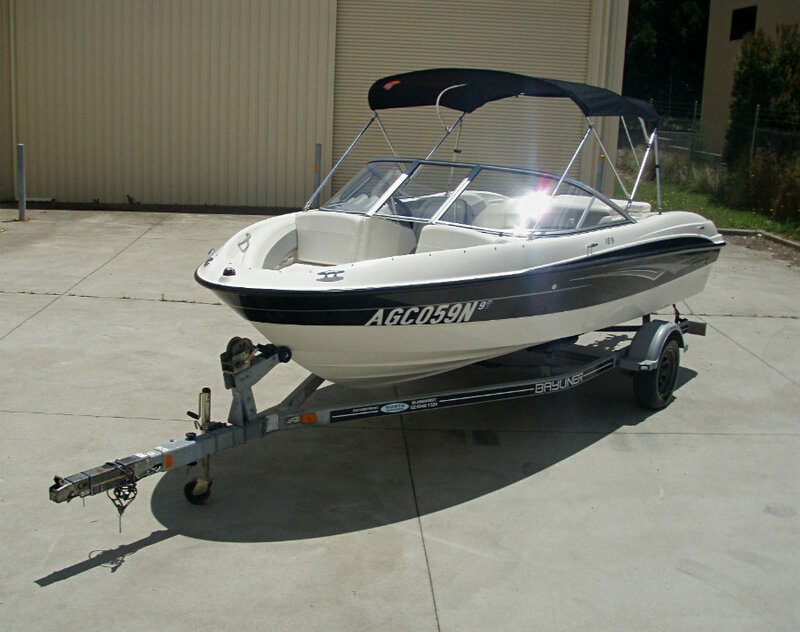 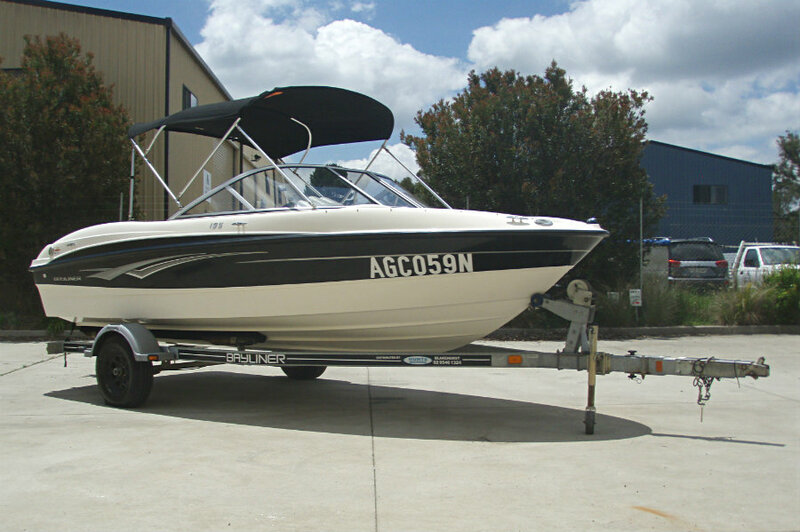 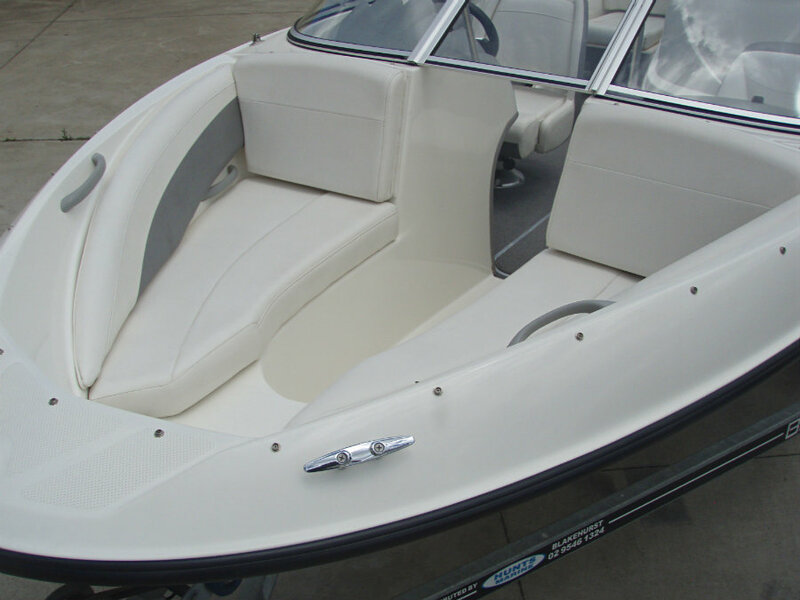 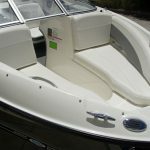 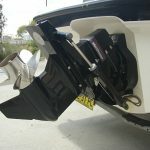 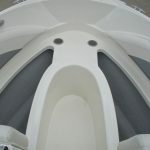 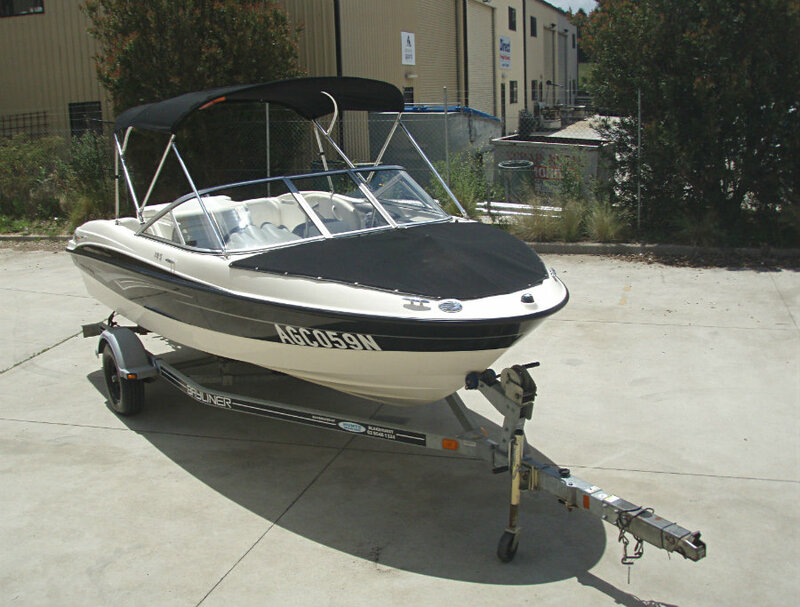 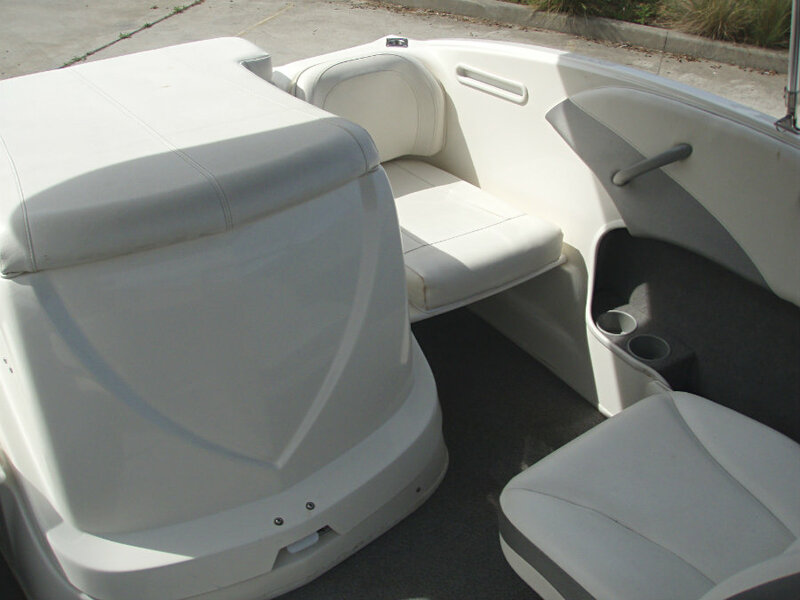 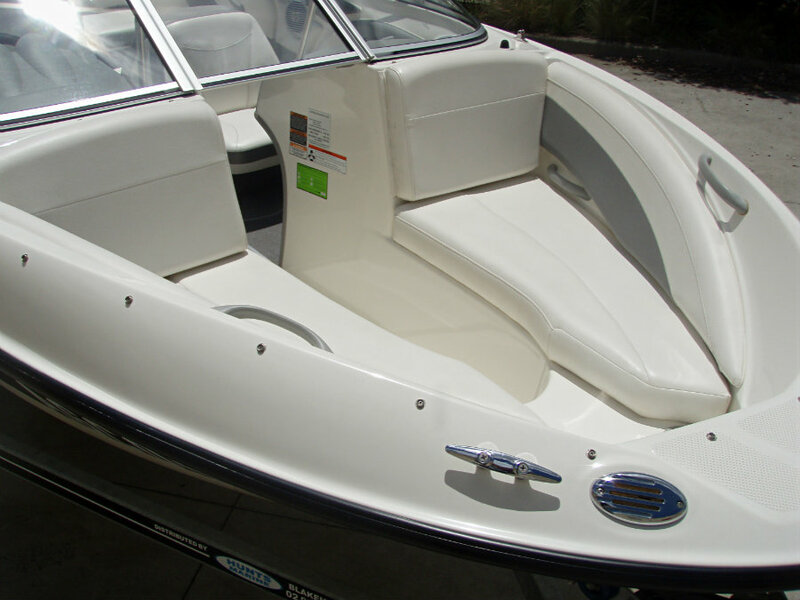 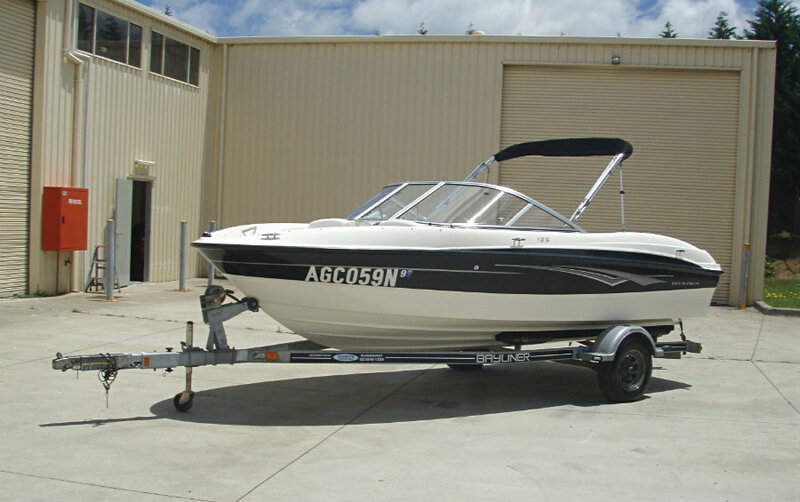 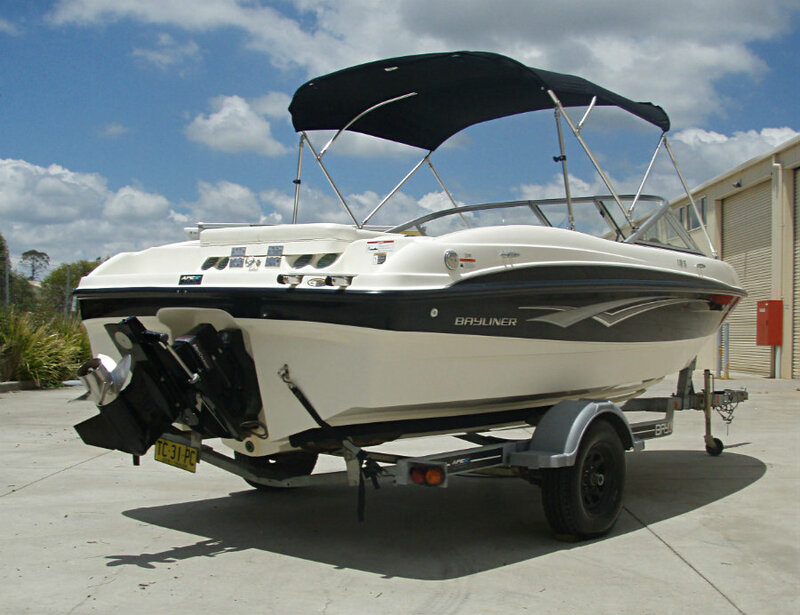 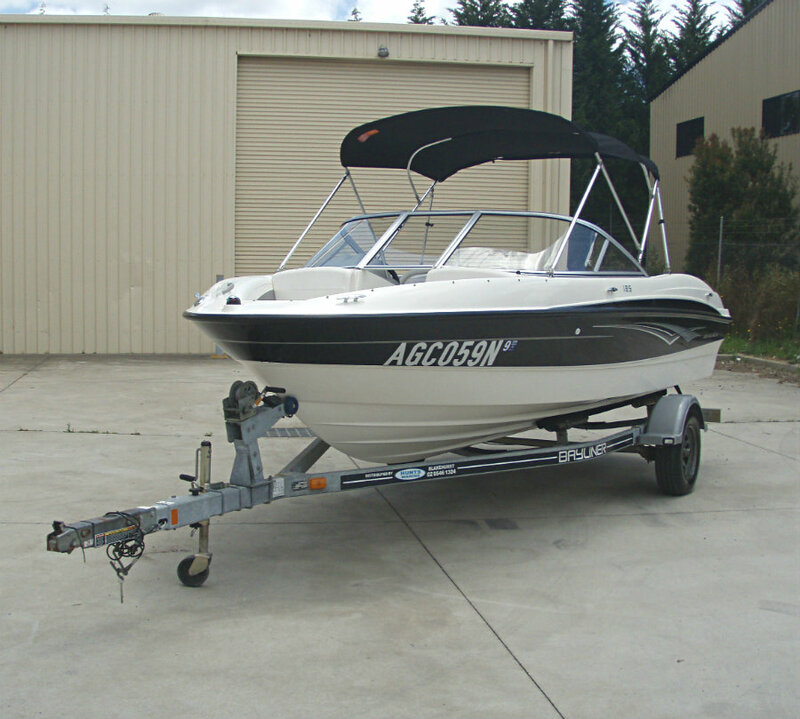 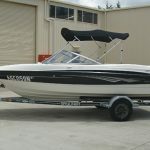 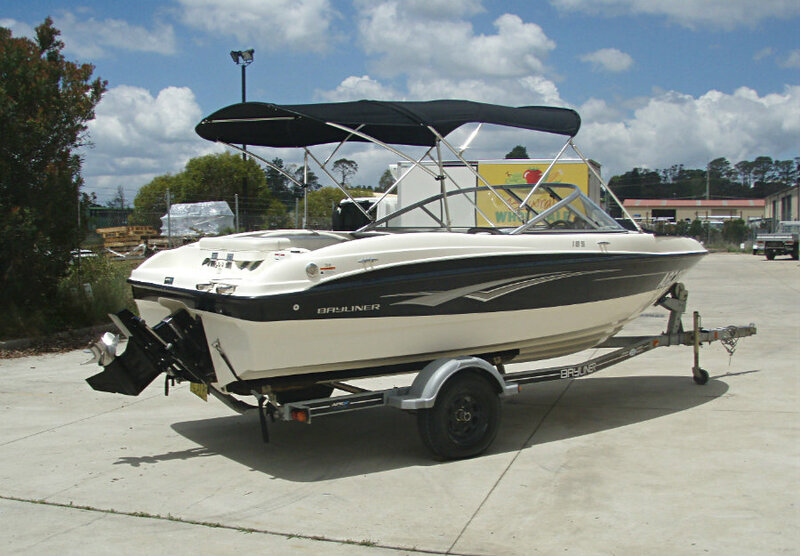 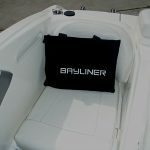 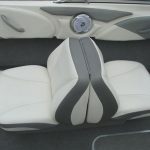 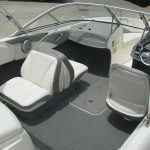 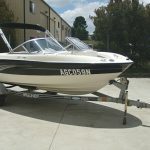 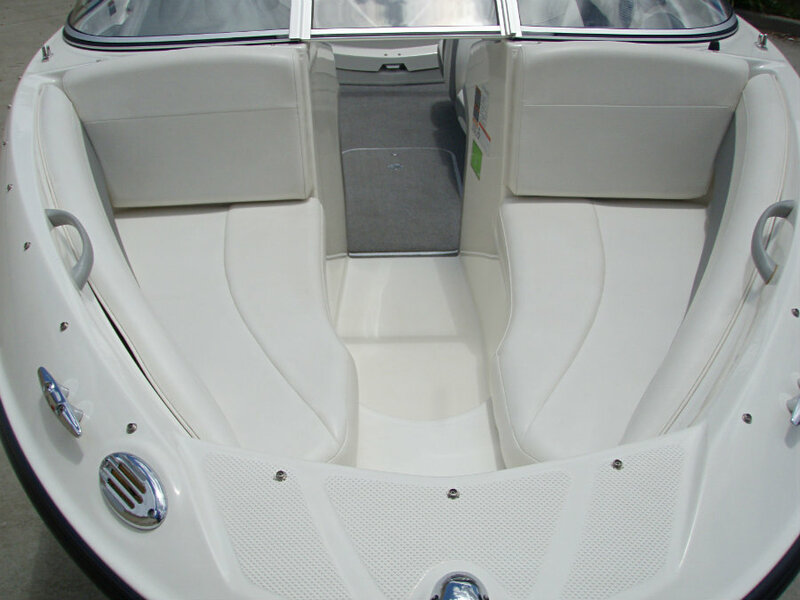 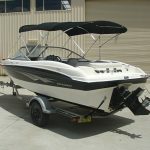 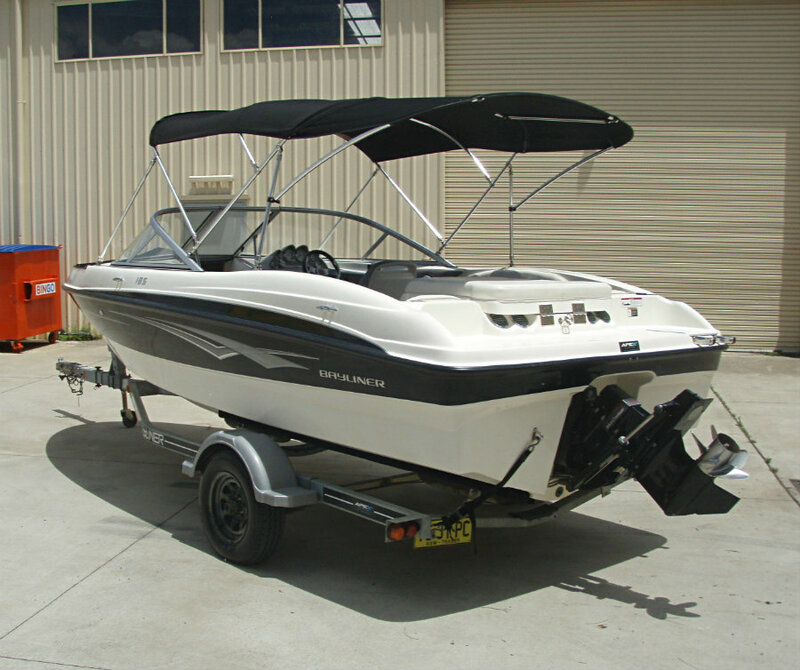 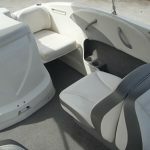 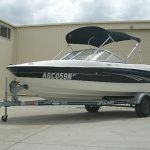 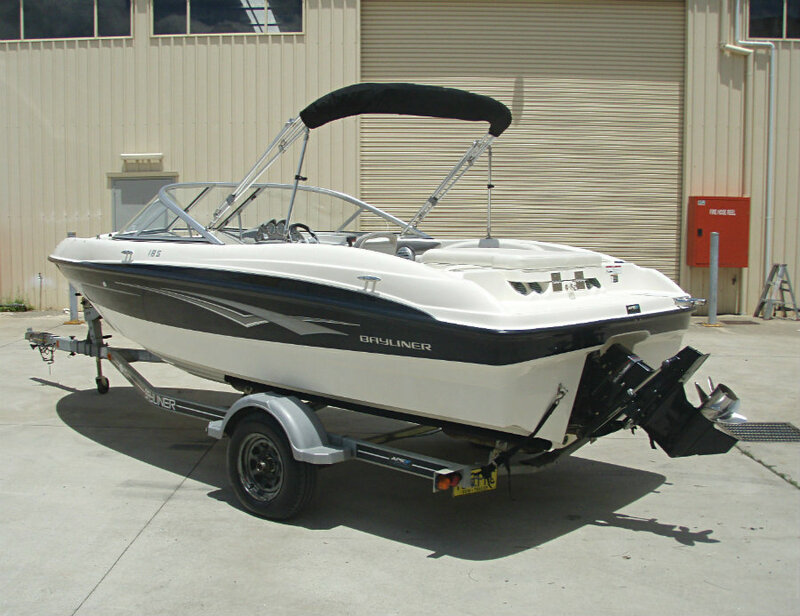 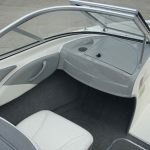 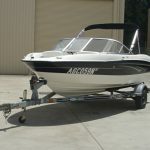 2010 Bayliner 185 Bowrider powered by a 4.3L V6 220hp MPI Mercruiser engine with an Alpha One sterndrive leg and only 127 hours of use. 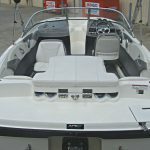 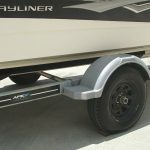 The Bayliner 185 bowrider offers those on a budget, but still in the market for a top all-round family boat, excellent value for money. 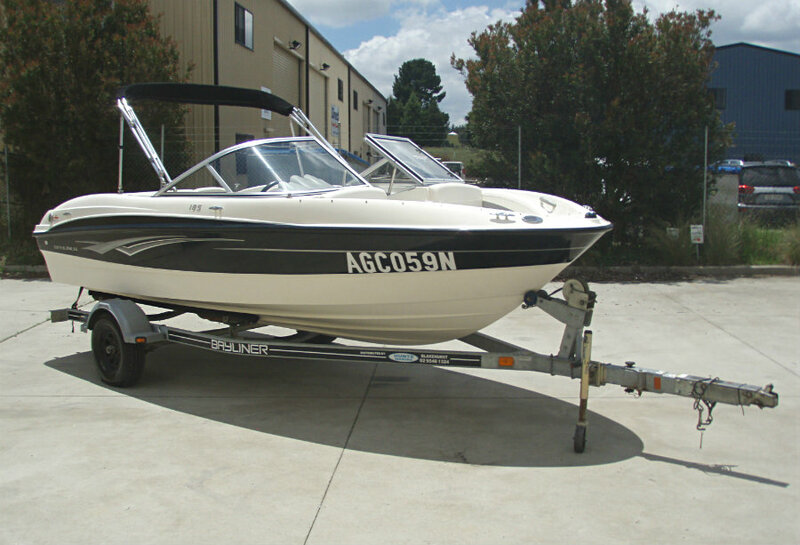 And the good news is you won’t have to sell your soul to the bank manager to own one. 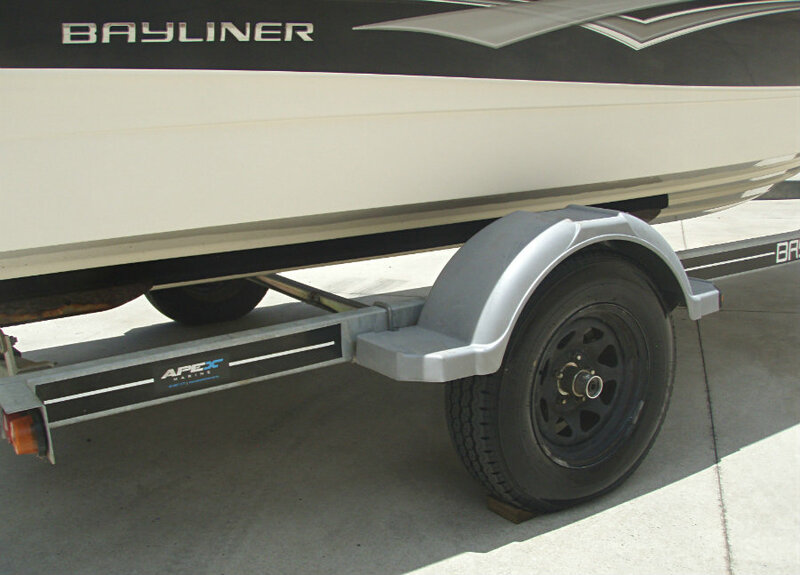 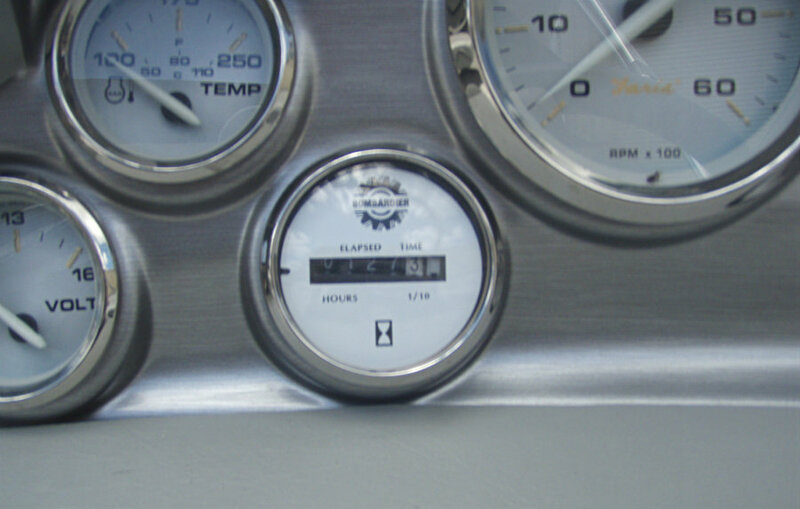 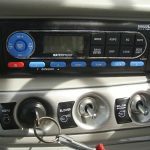 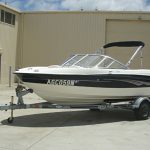 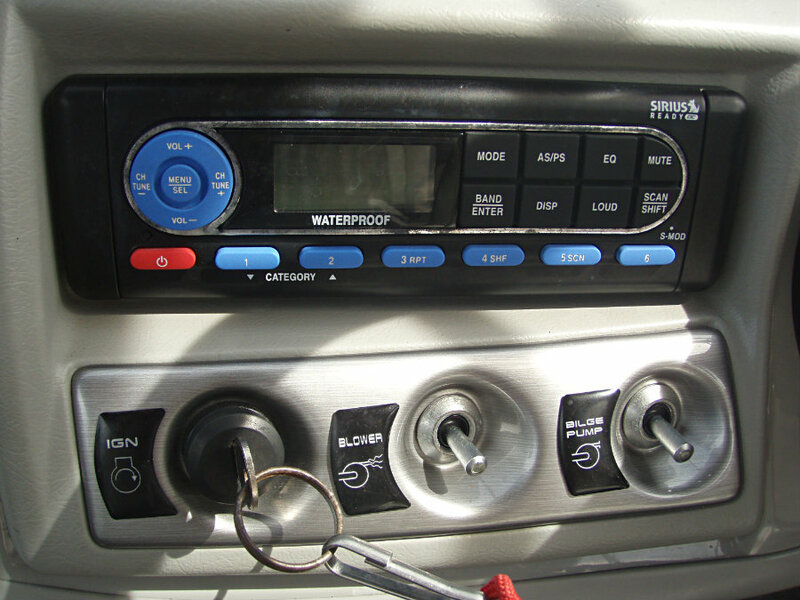 You will find that they are well finished, have a practical layout and are easy to tow. 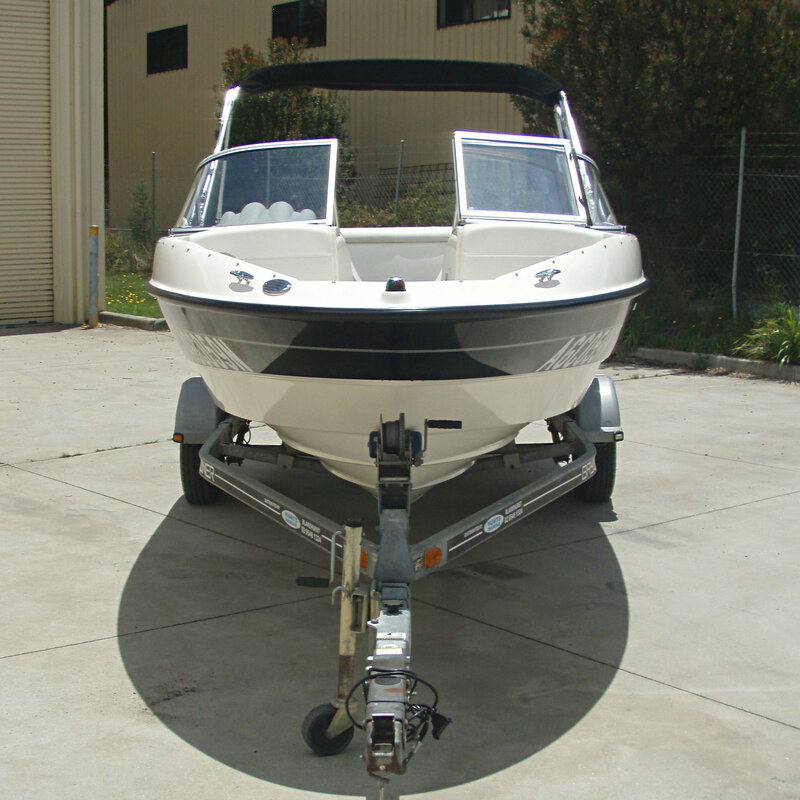 This 185 is in very good condition, and has been stored undercover and well maintained in it’s short life. 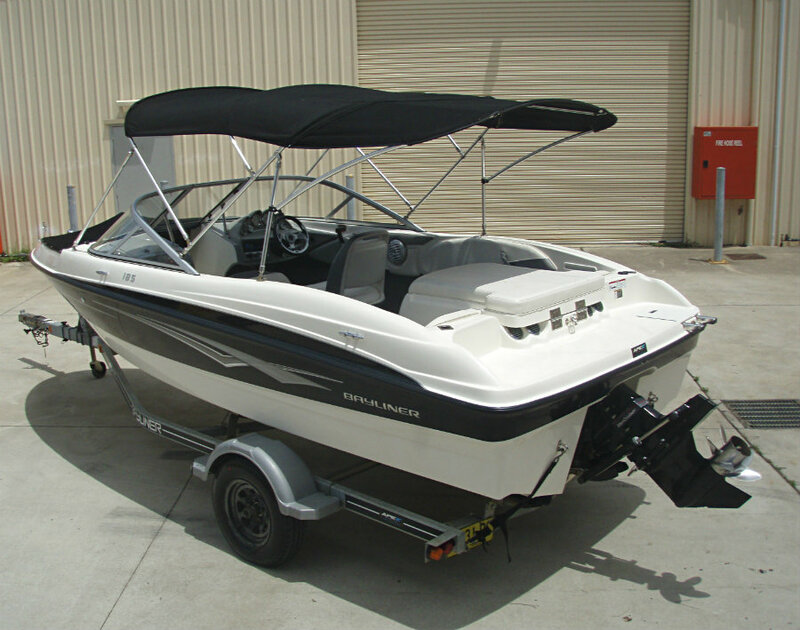 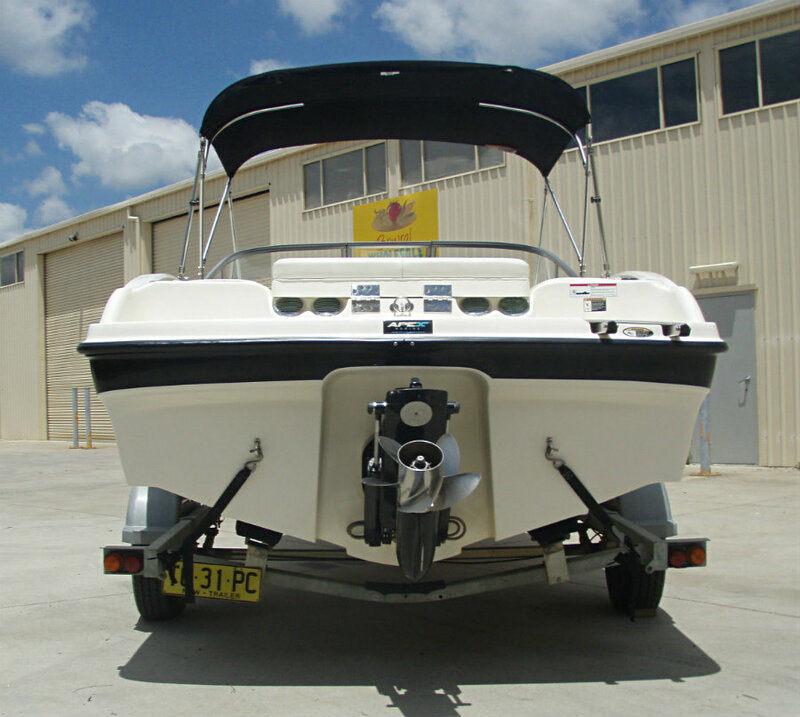 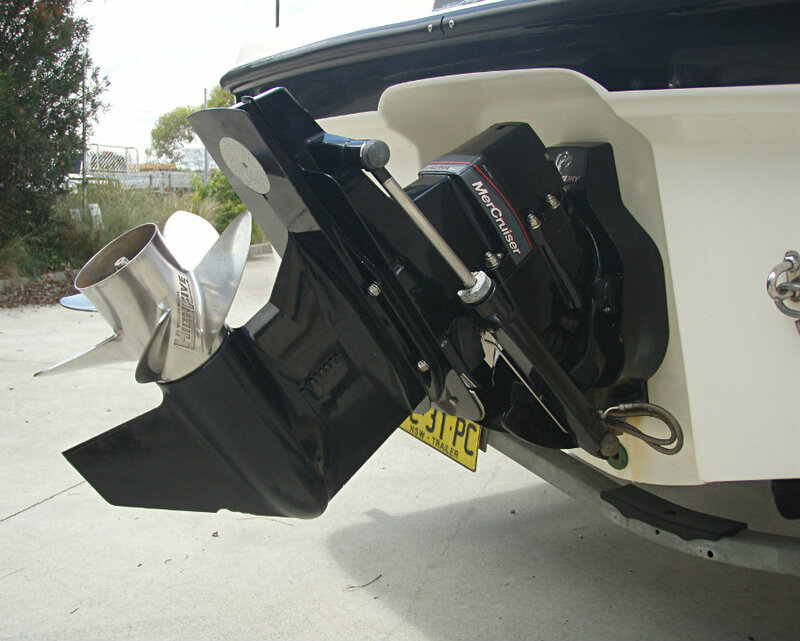 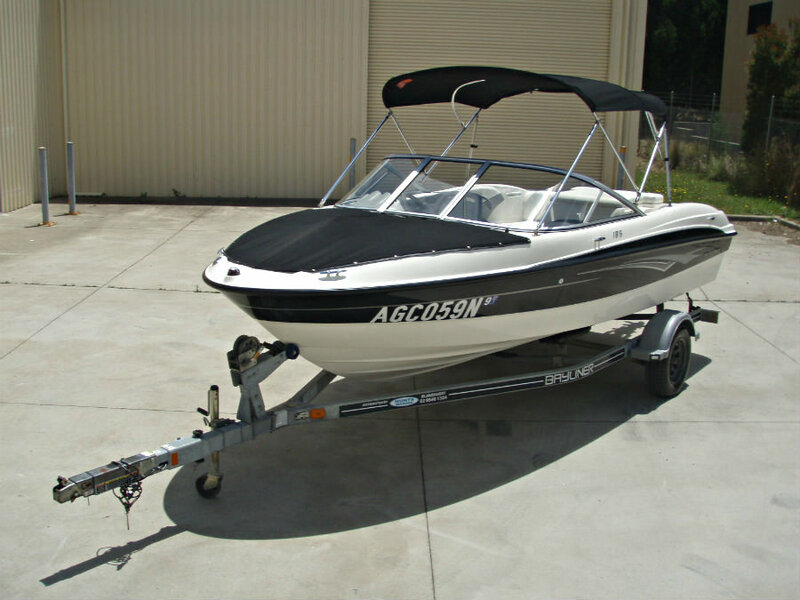 It has the stand out ‘solid black’ colour hull, boasts the 4.3L V6 220hp MPI engine for more holeshot, features the back-to-back passenger and swivel pedestal driver seating arrangement, an extended bimini, bow cover and is fitted with a ‘high-five’ stainless steel propeller.